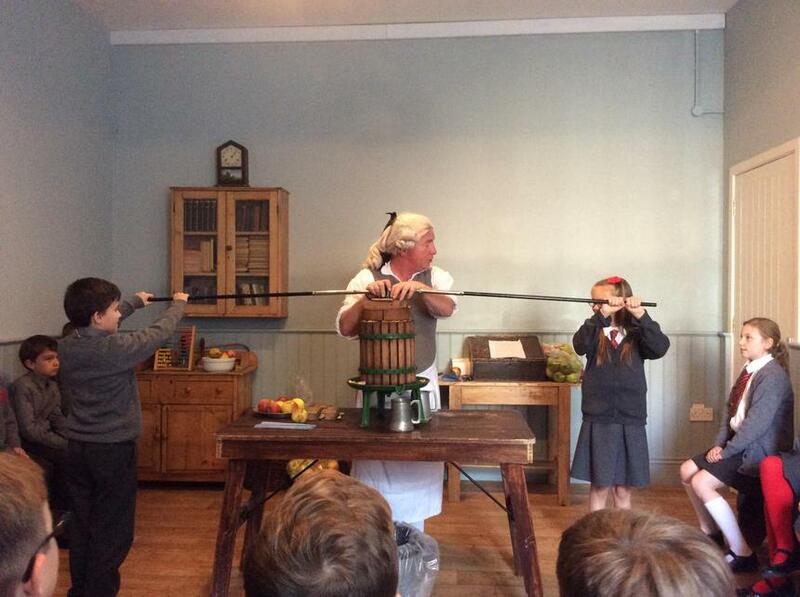 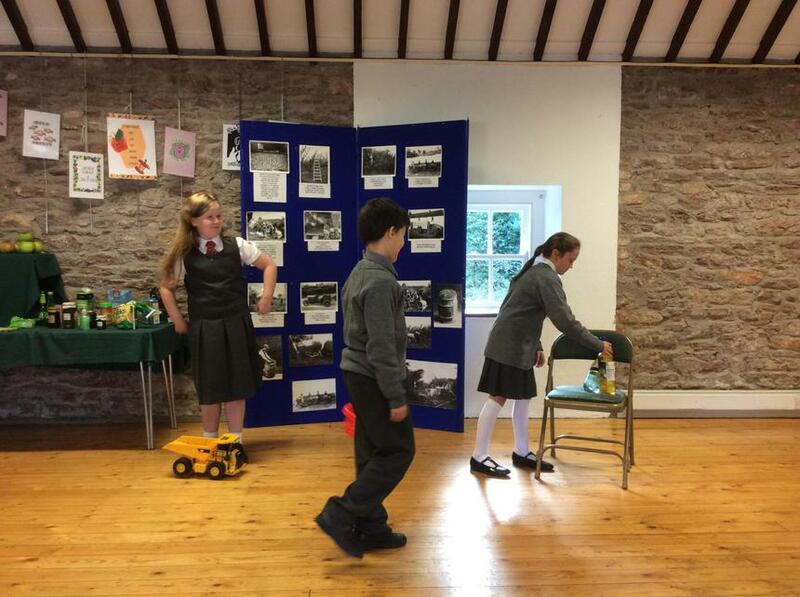 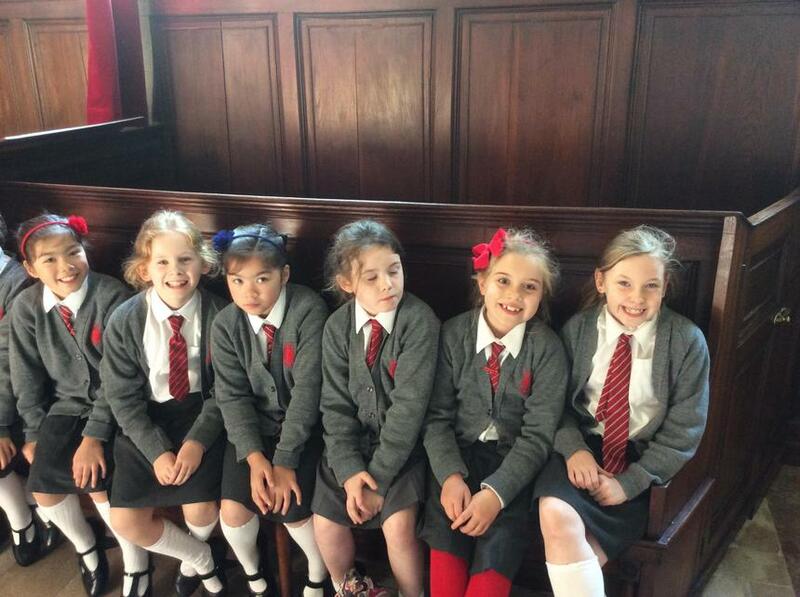 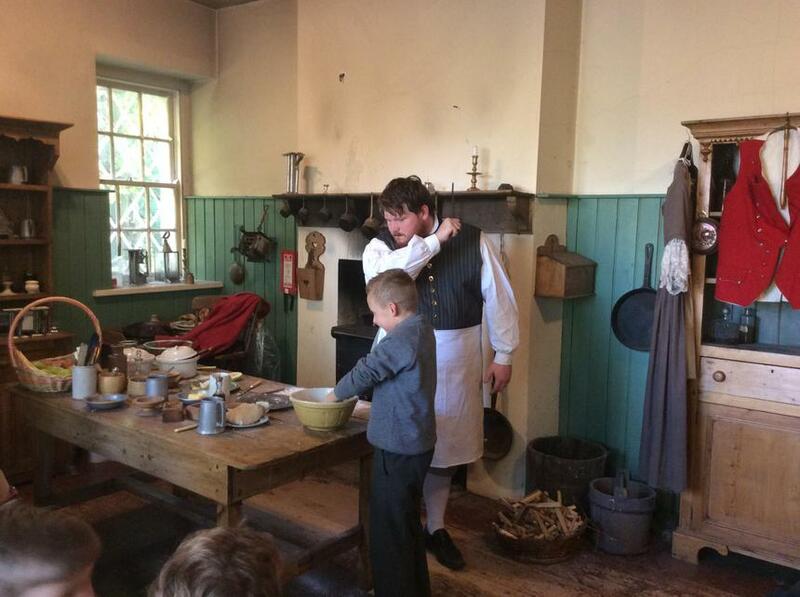 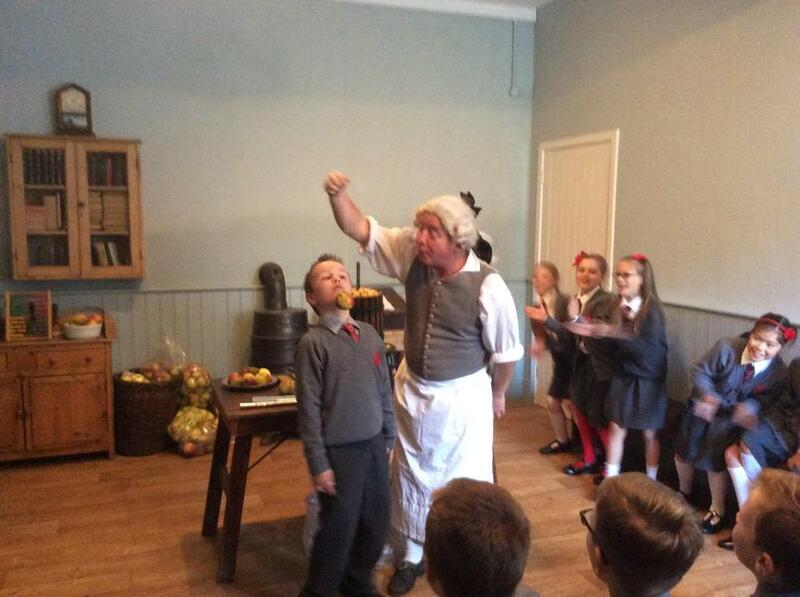 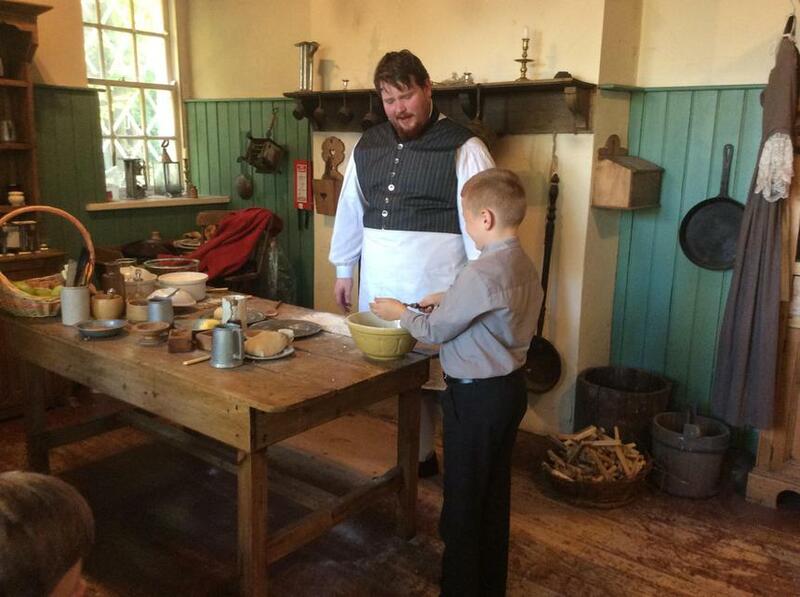 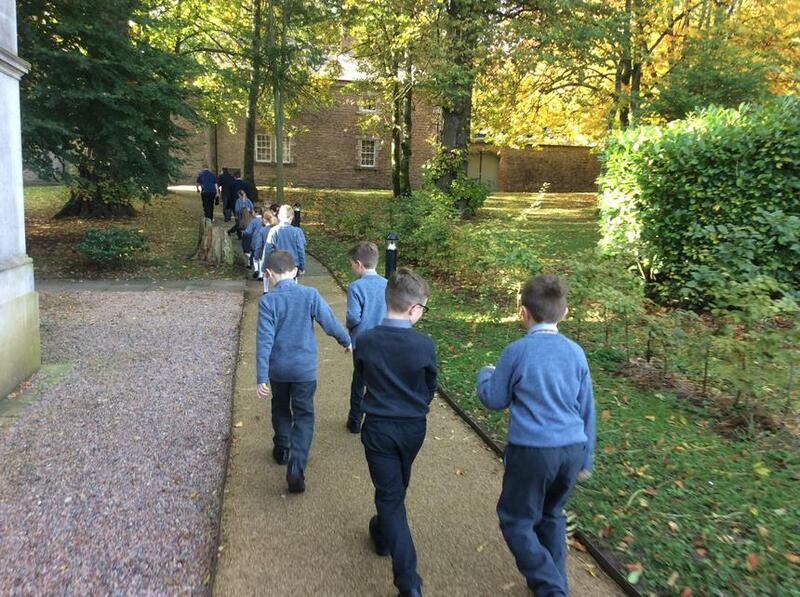 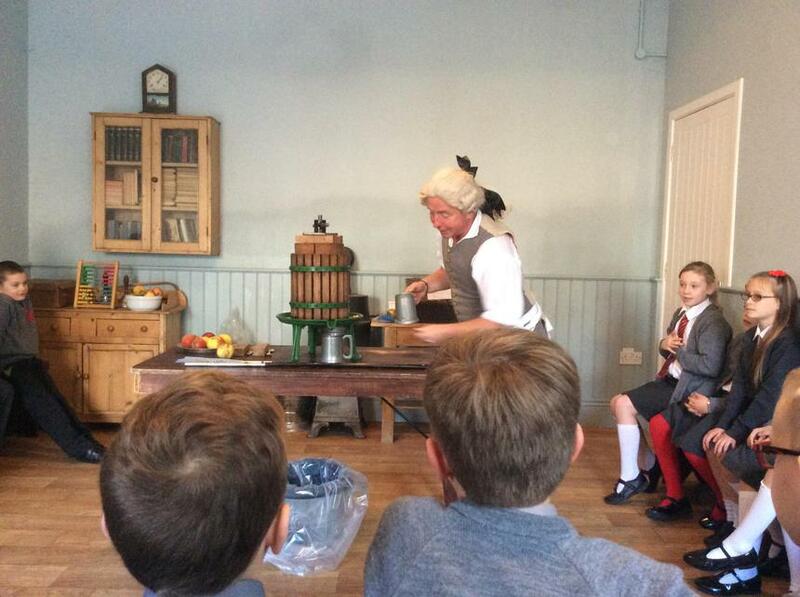 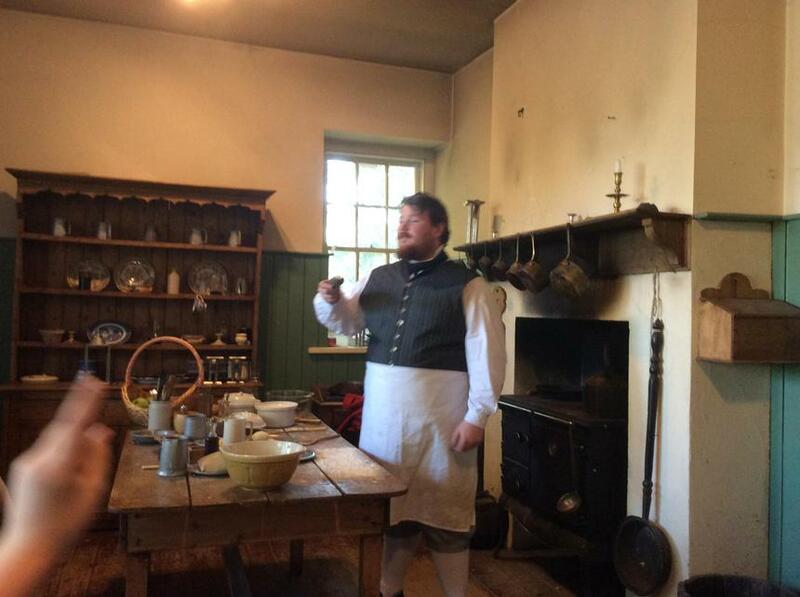 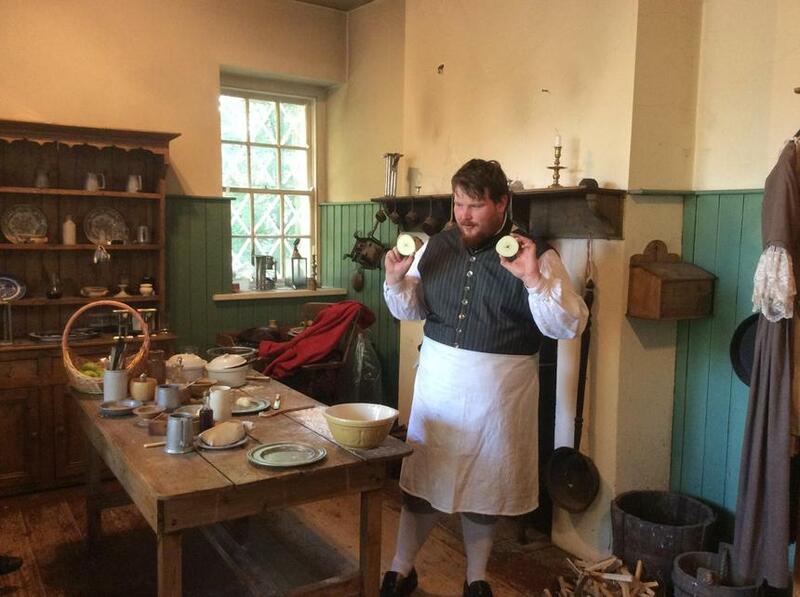 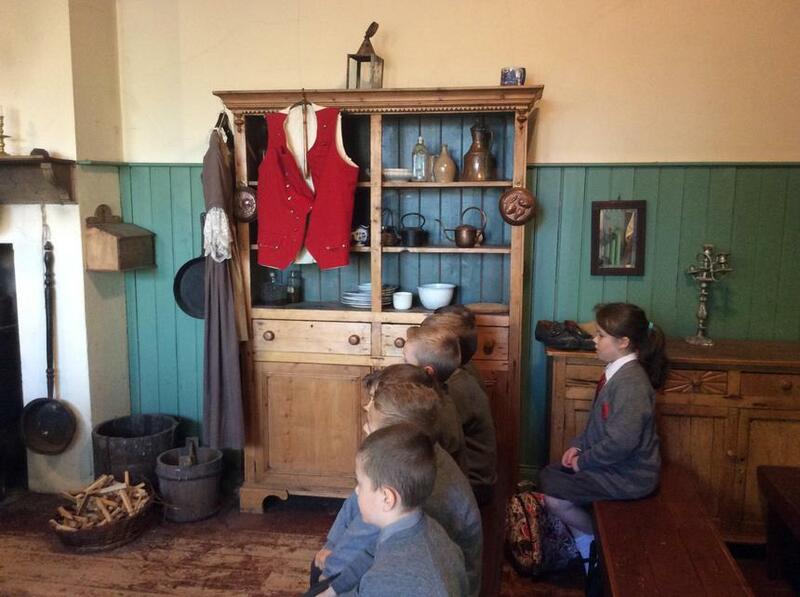 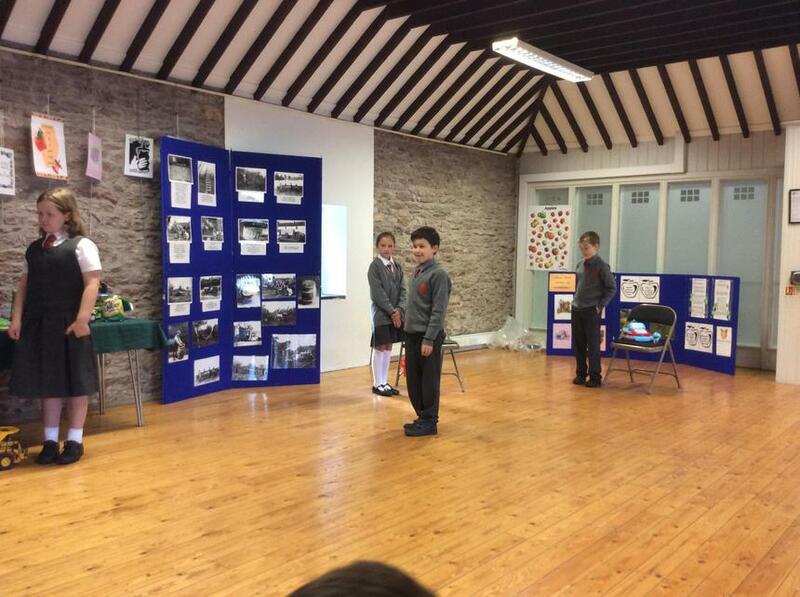 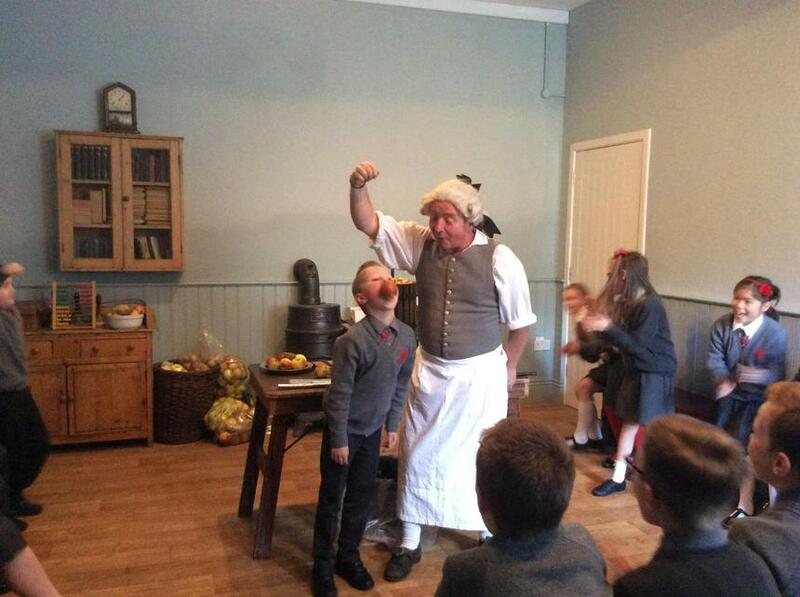 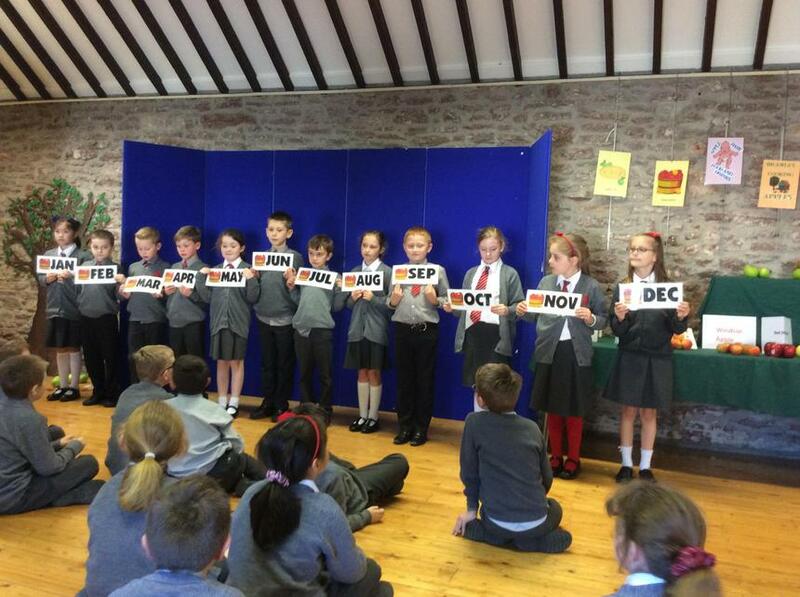 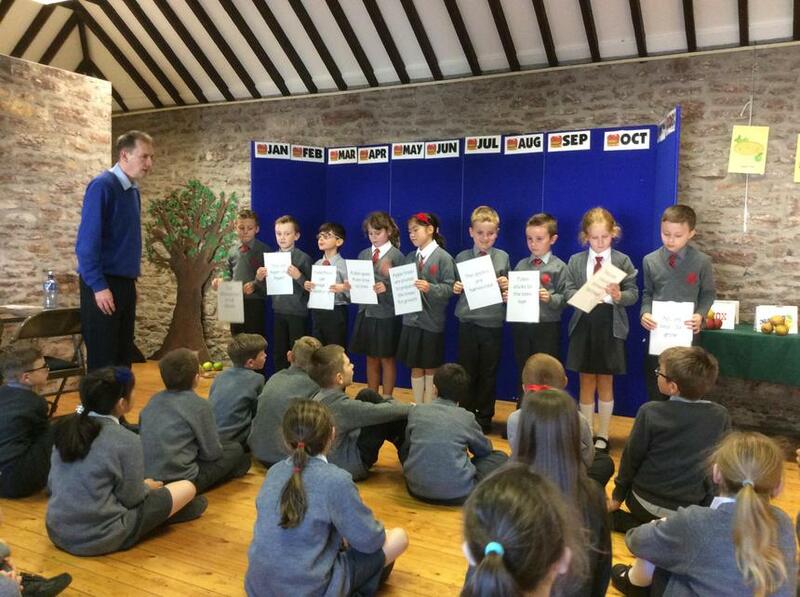 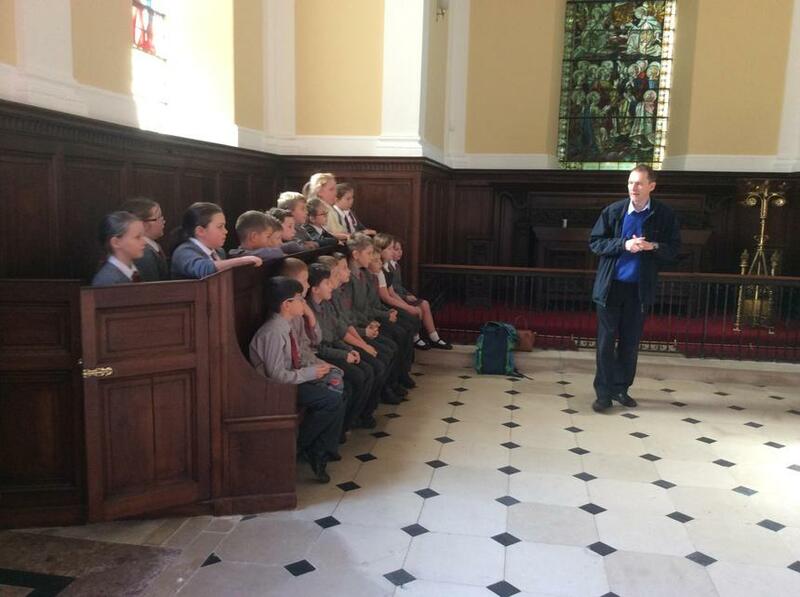 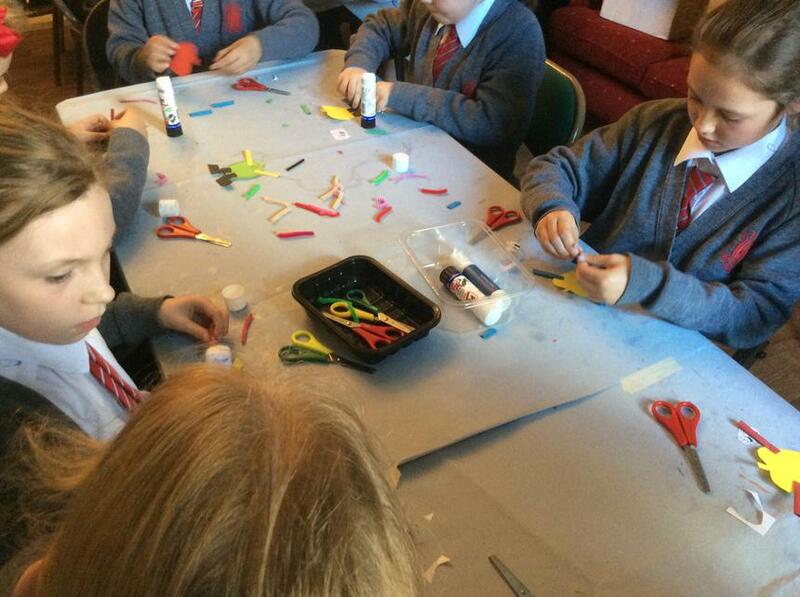 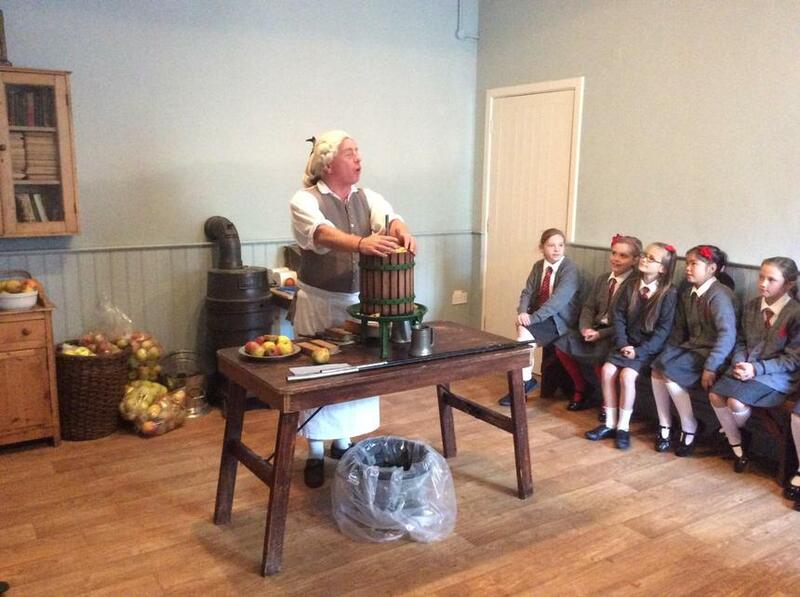 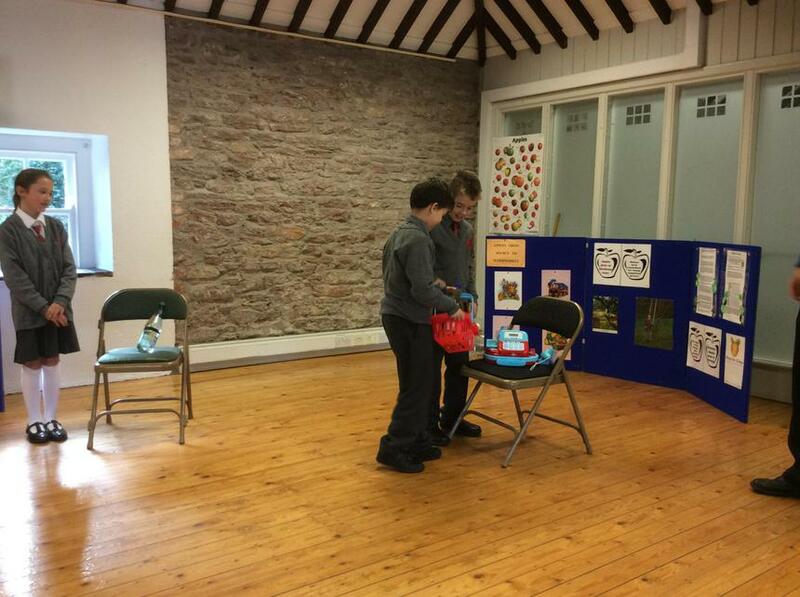 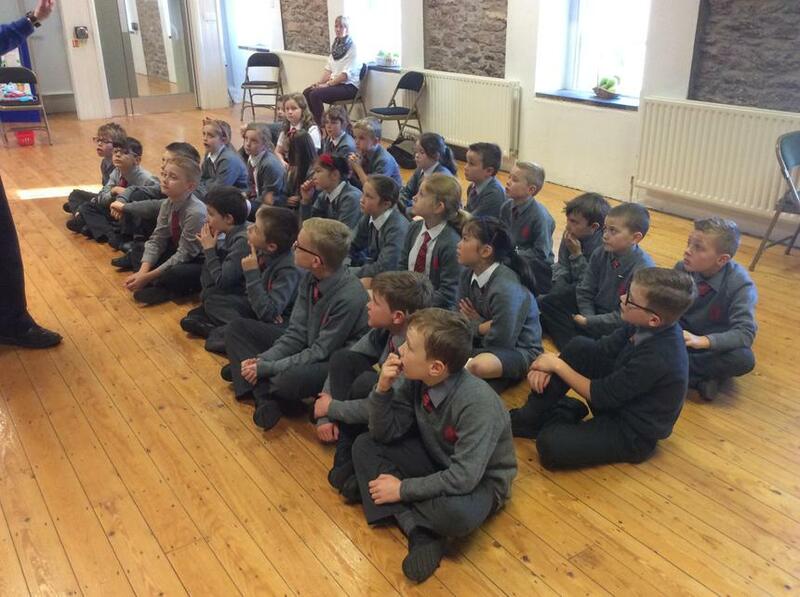 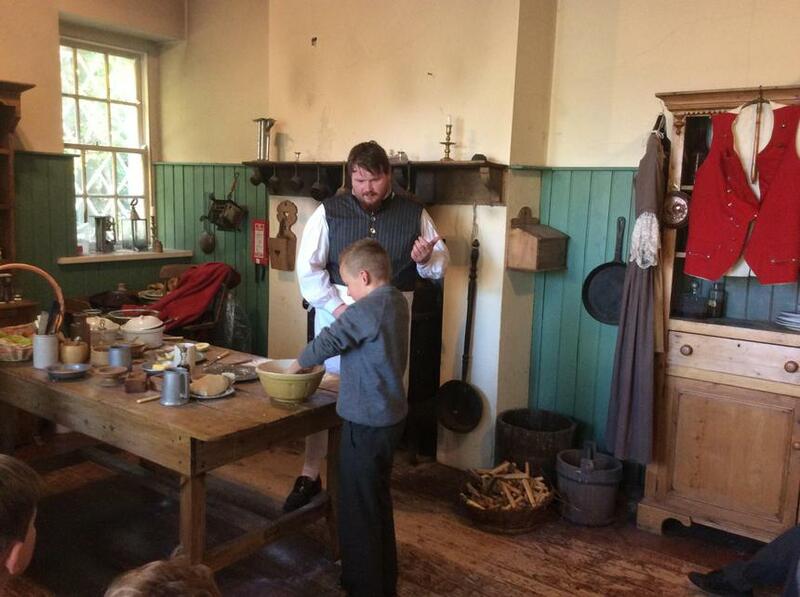 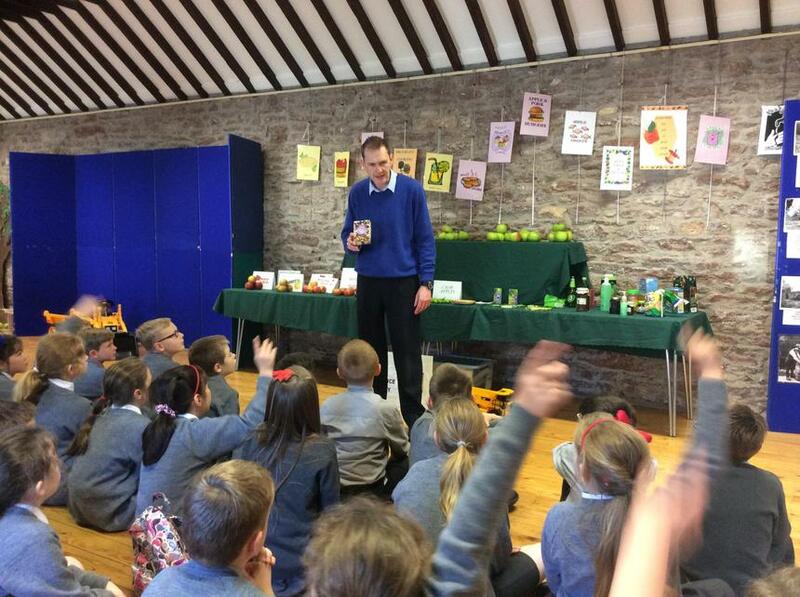 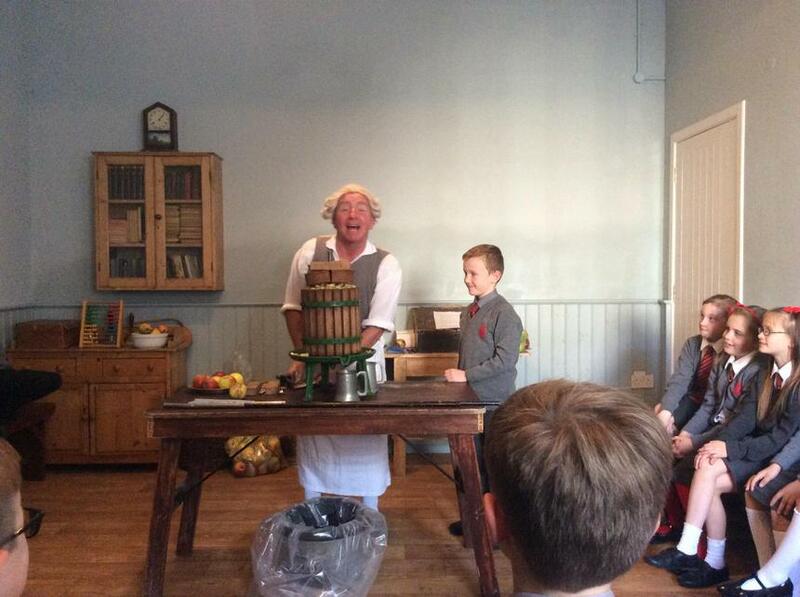 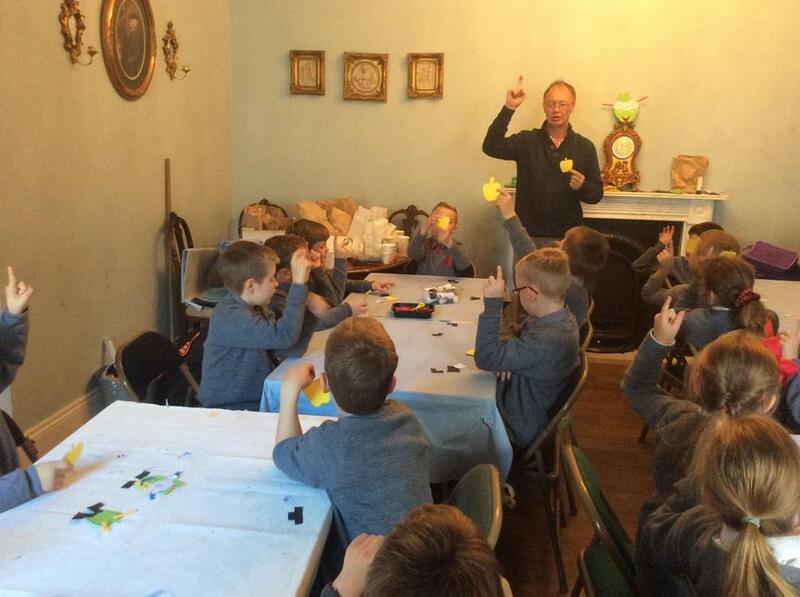 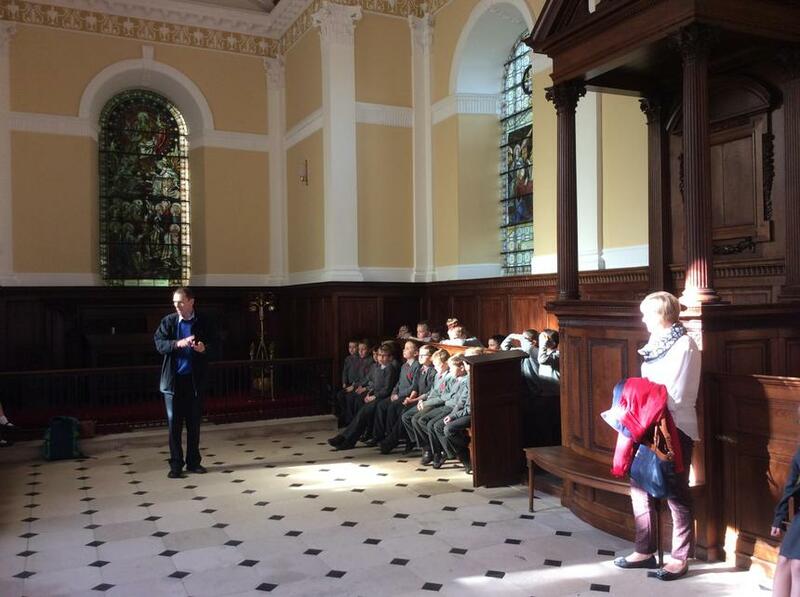 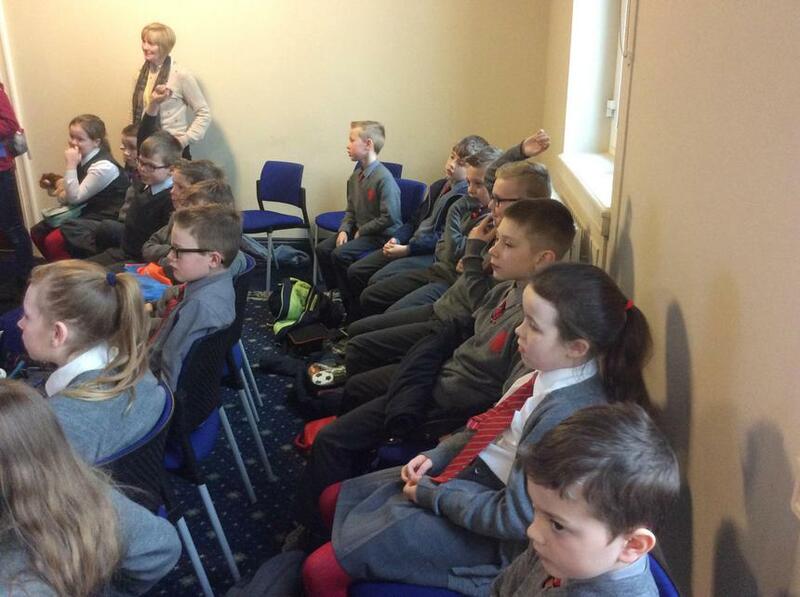 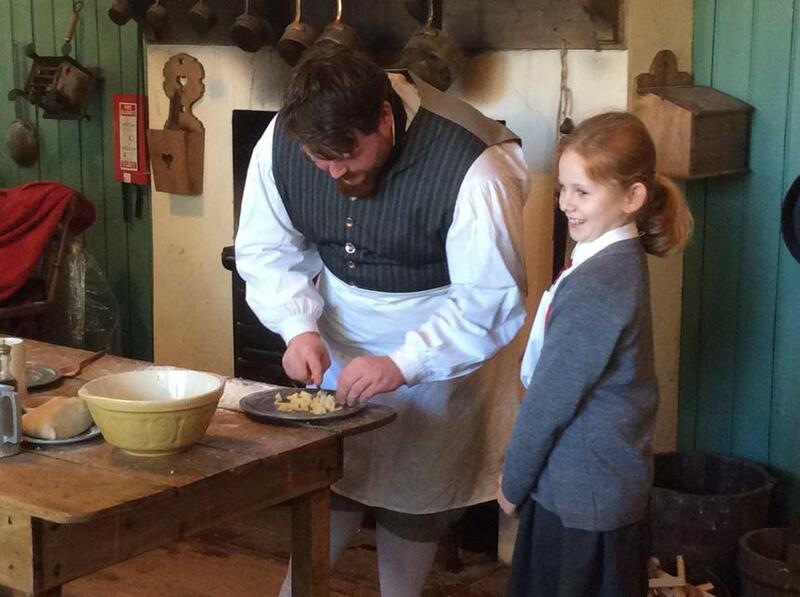 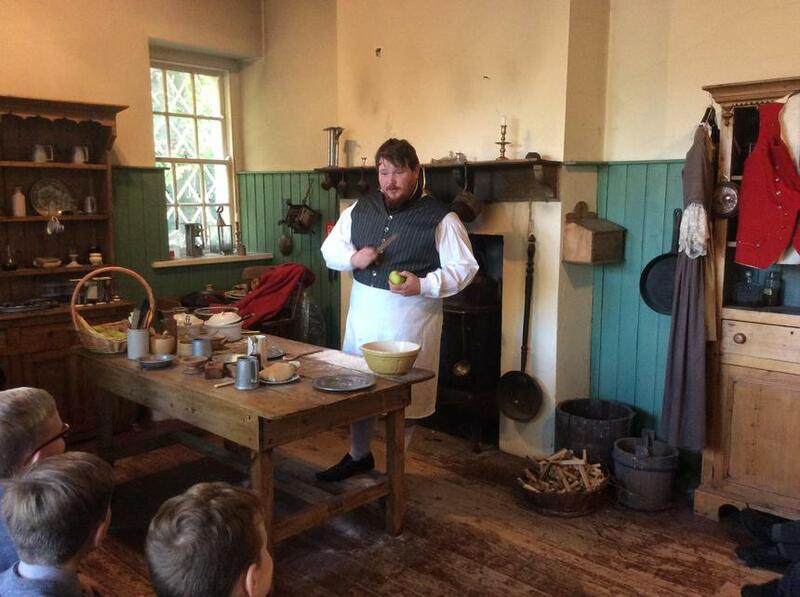 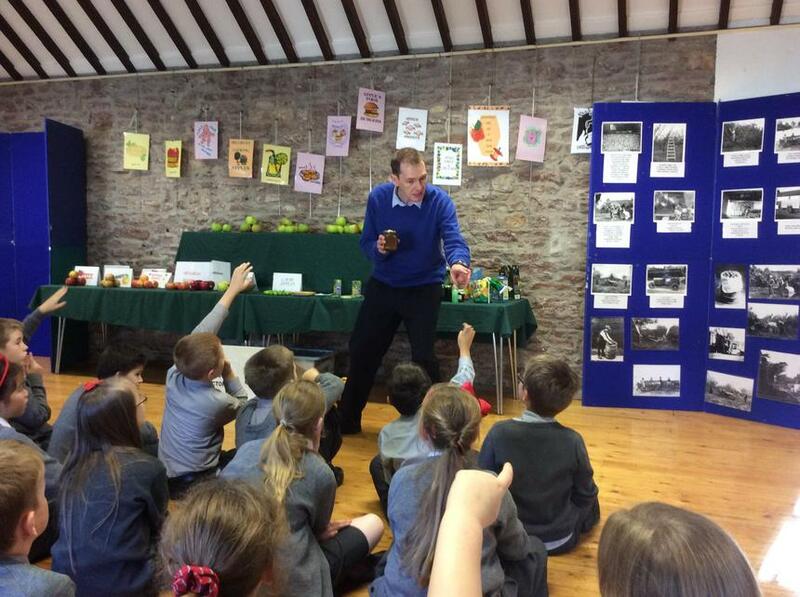 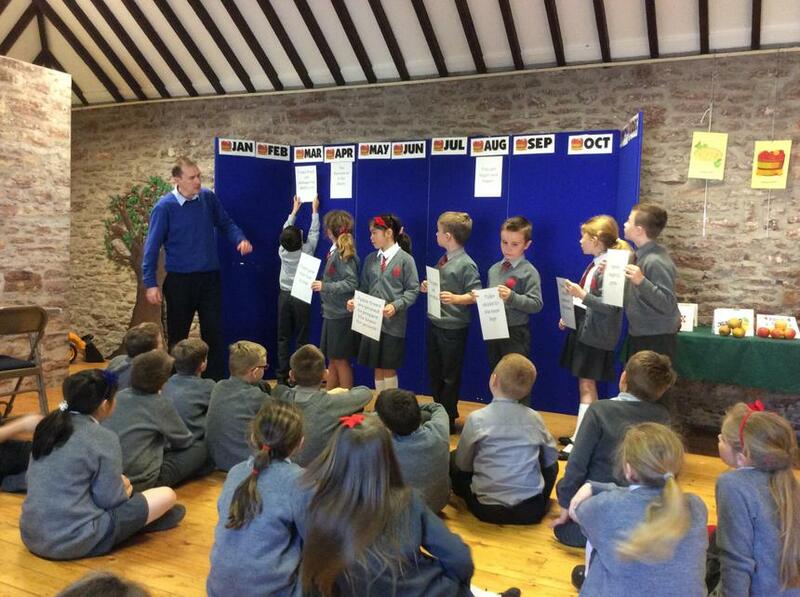 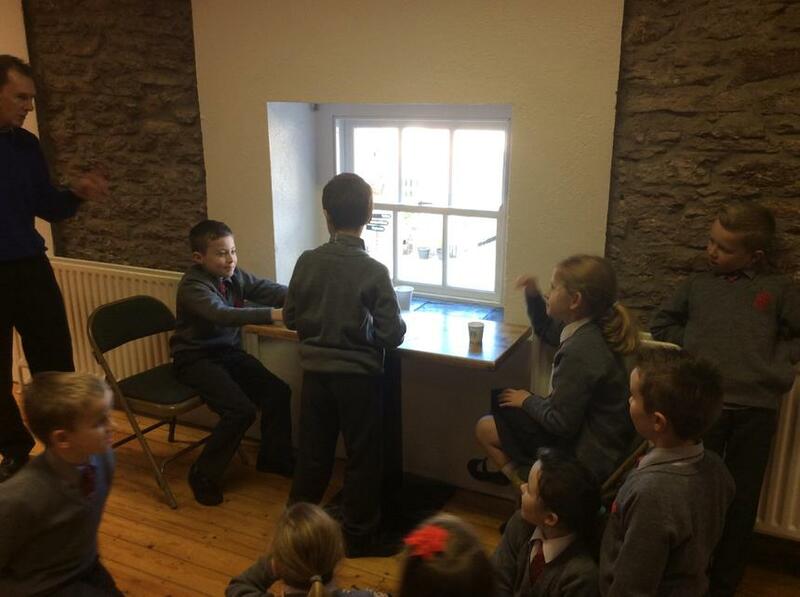 Apple Week visit to the Palace Stables - On Thursday 20th October, Primary 5 travelled to the Palace Stables in Armagh so that we could learn more about apples. 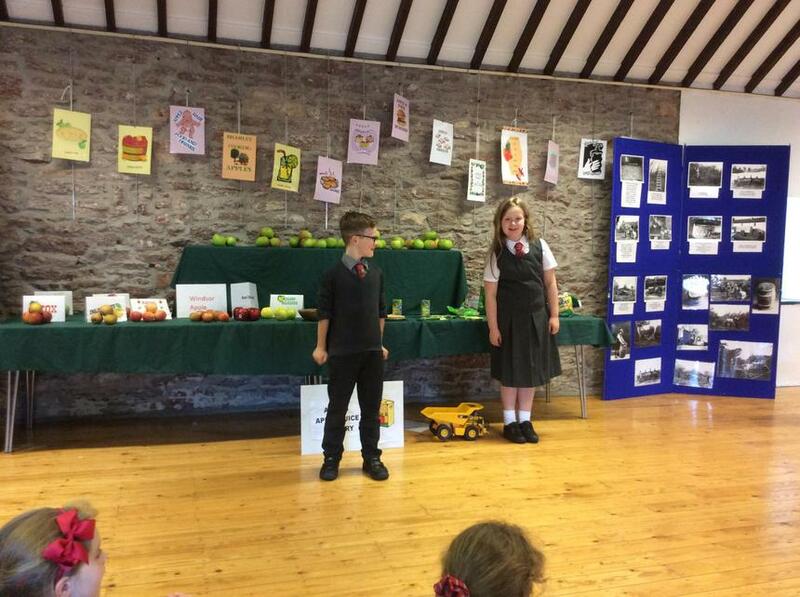 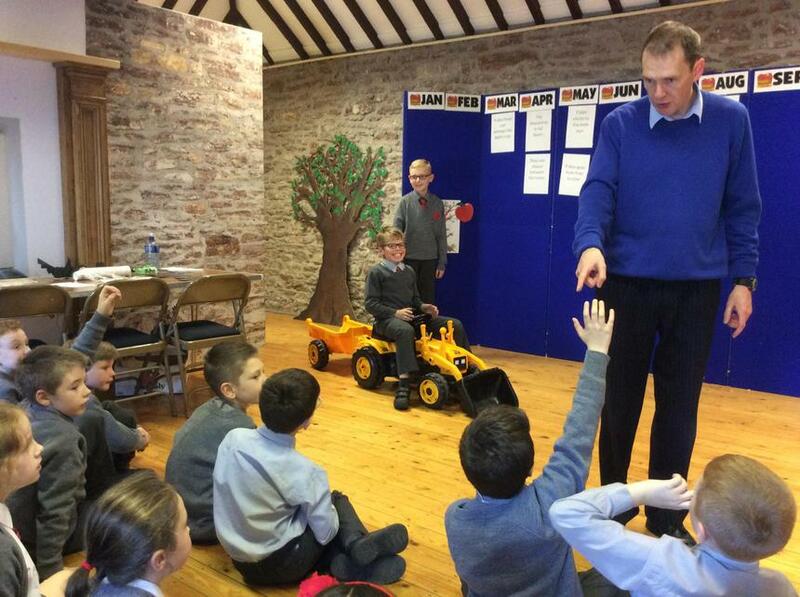 In our World Around Us work, we had been learning about how apples grow in orchards across County Armagh. 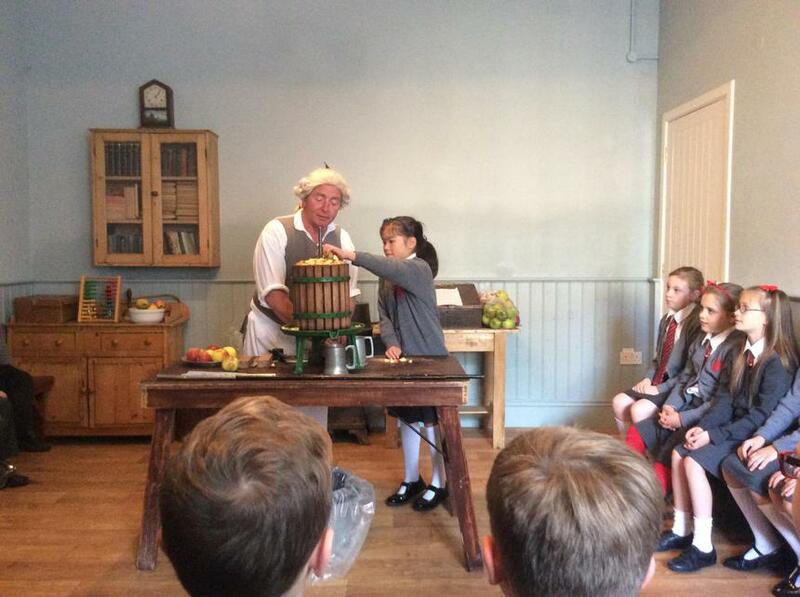 We had a great day out, and we learnt so much about apples! 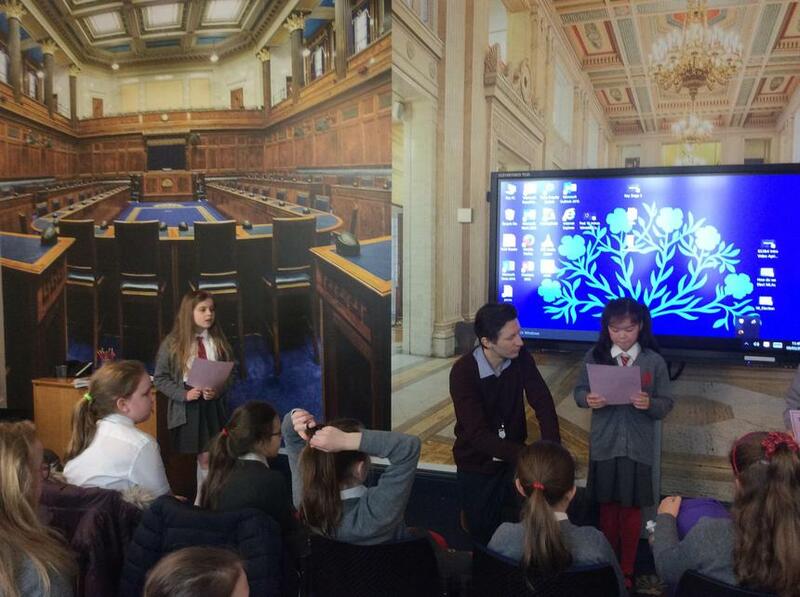 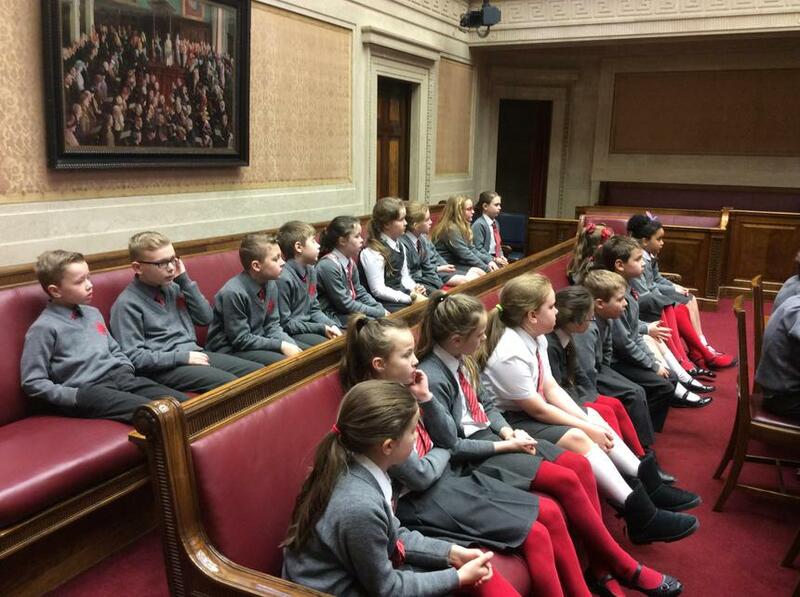 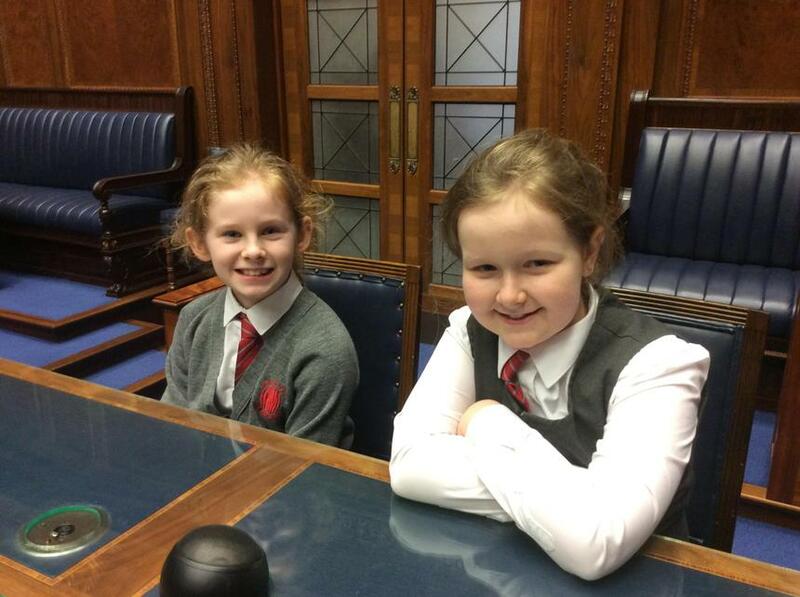 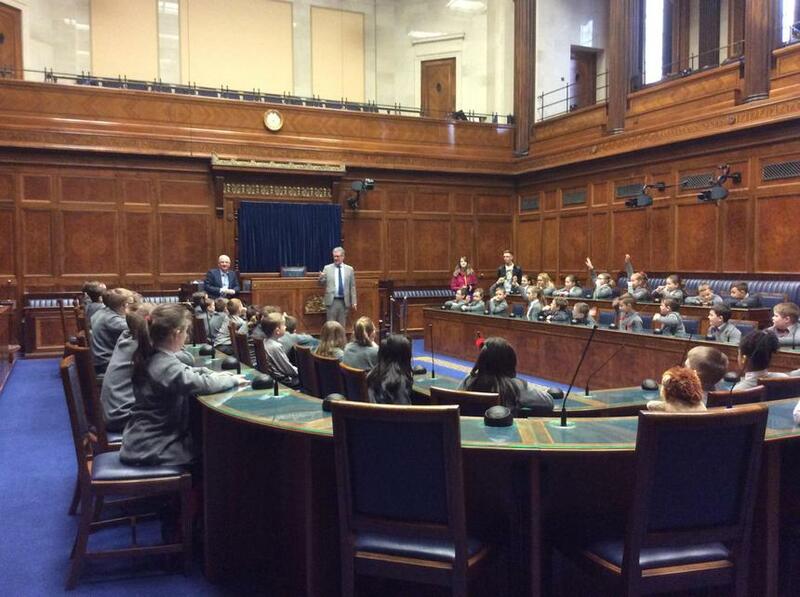 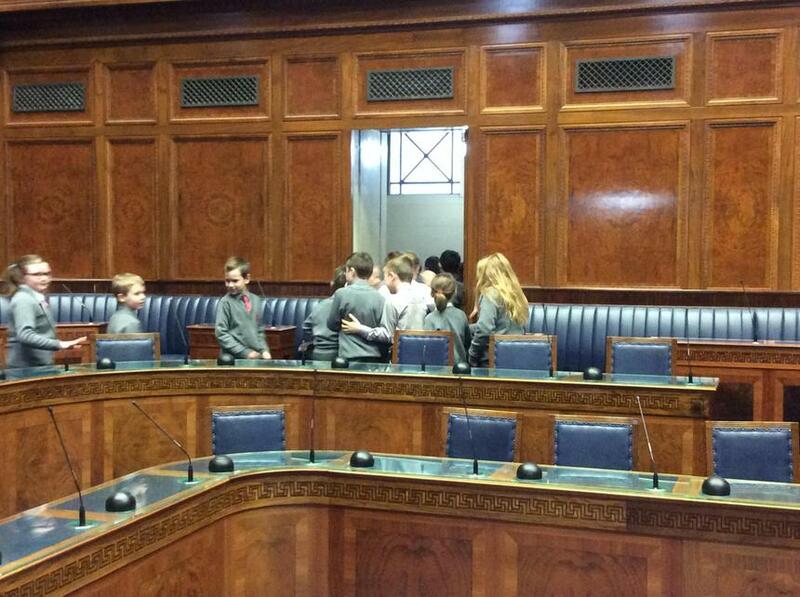 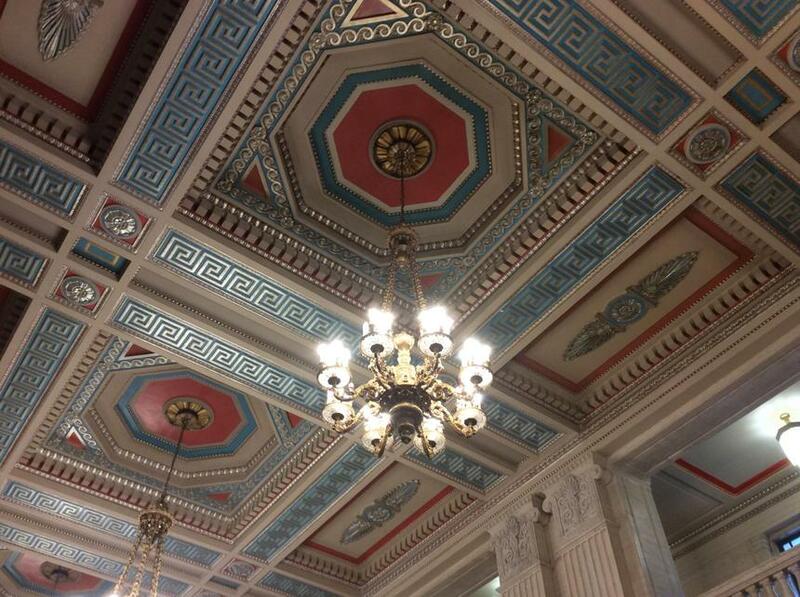 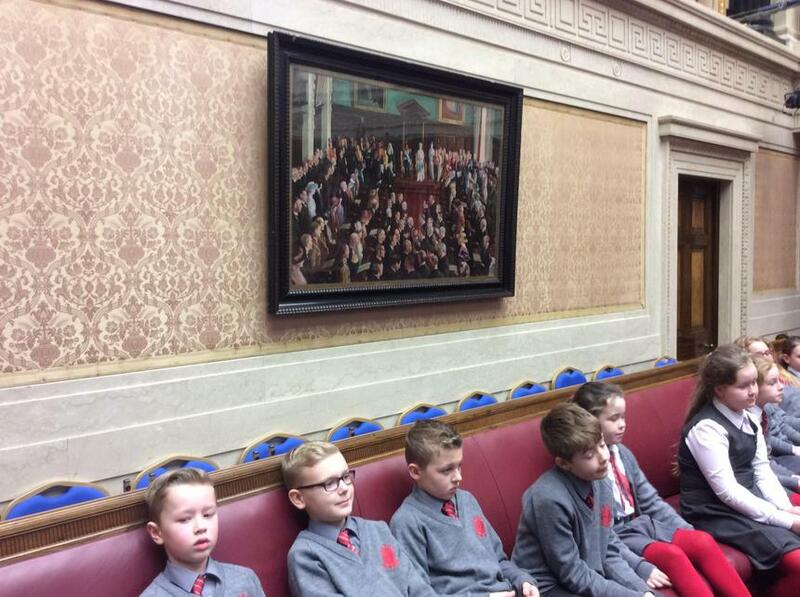 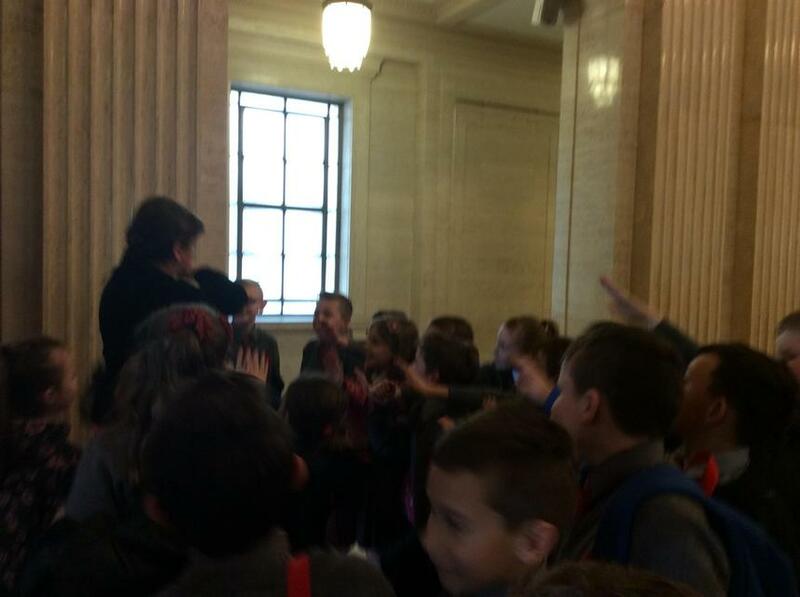 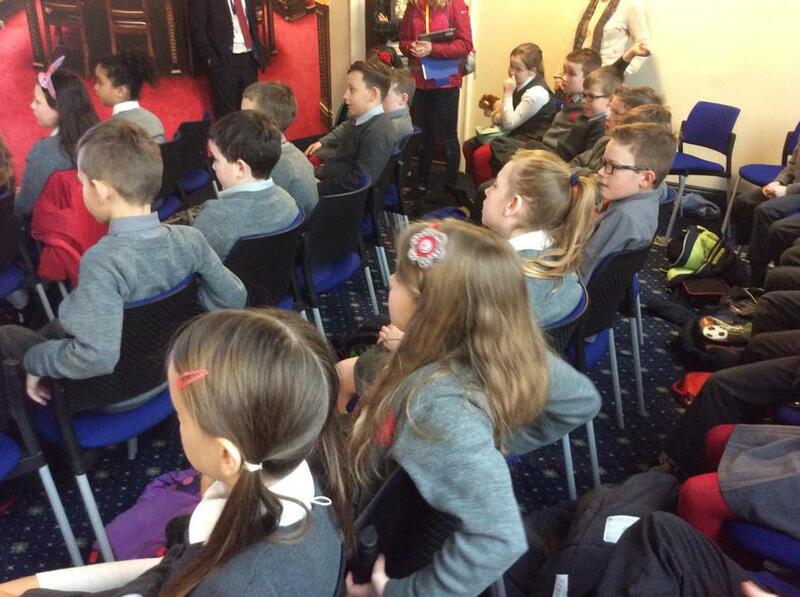 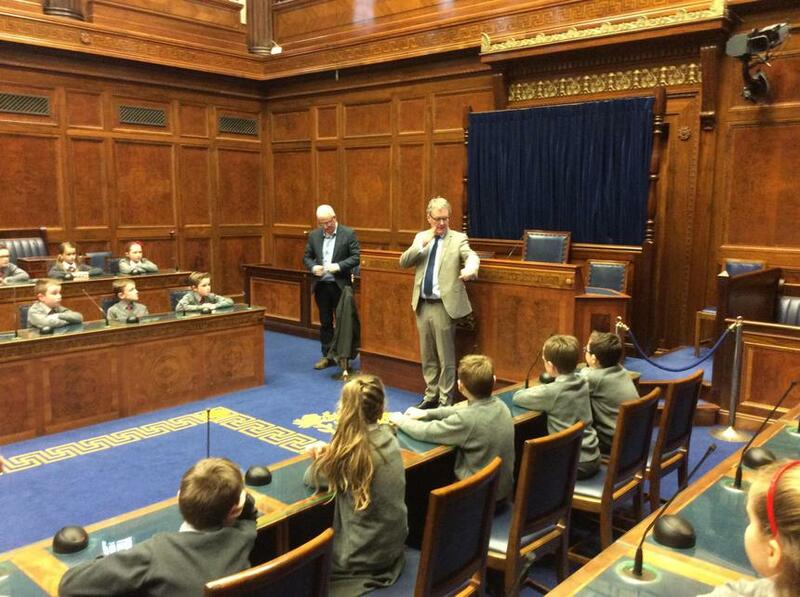 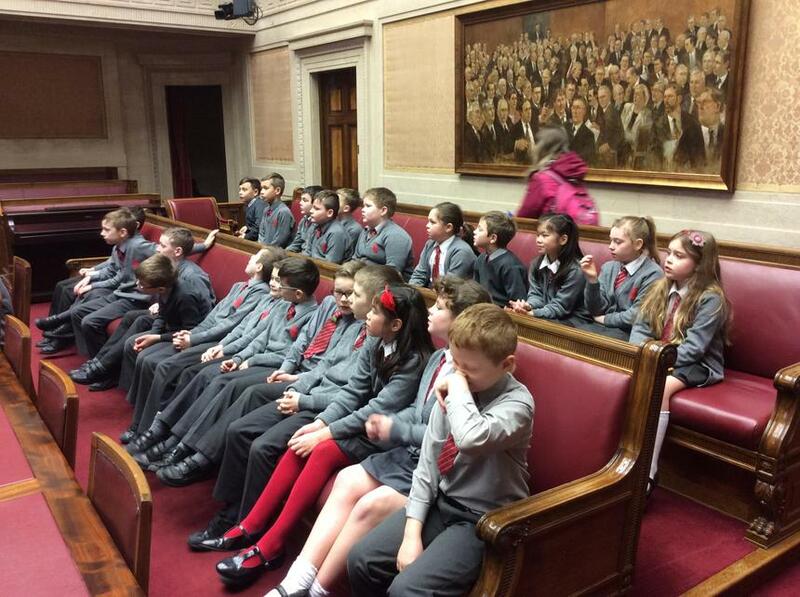 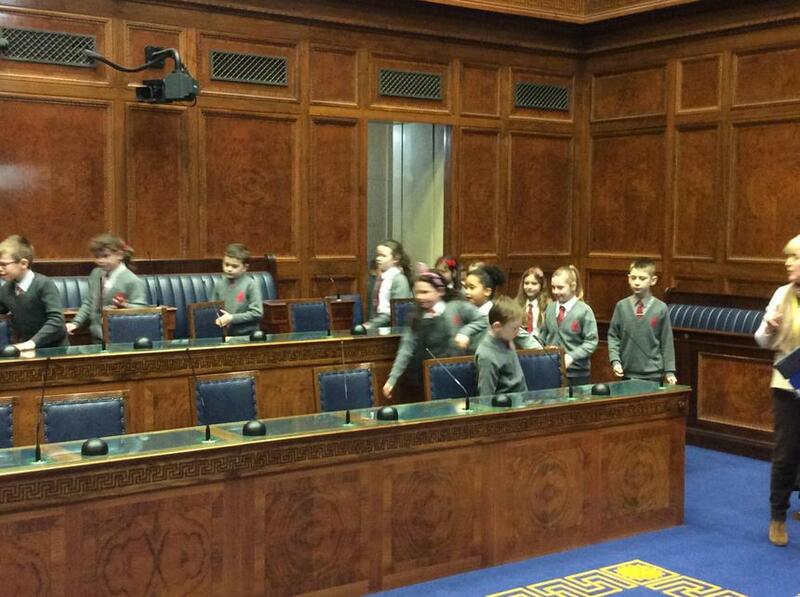 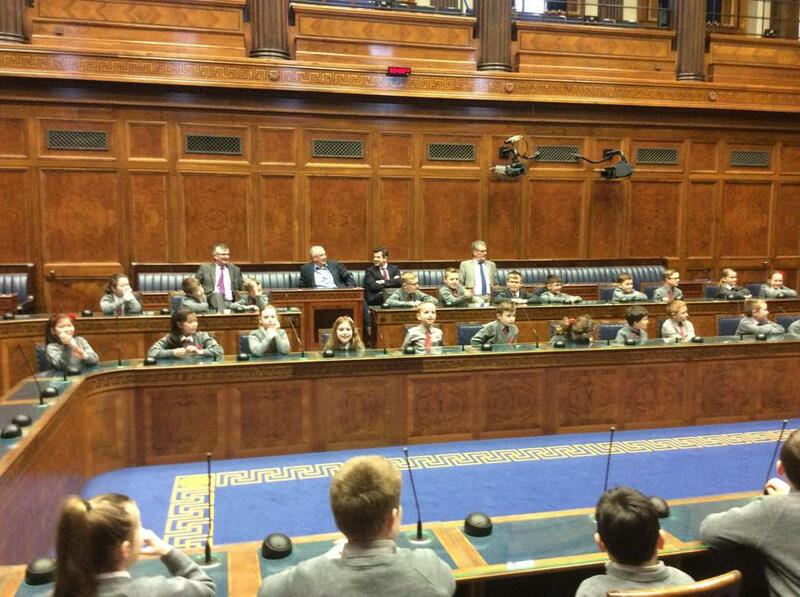 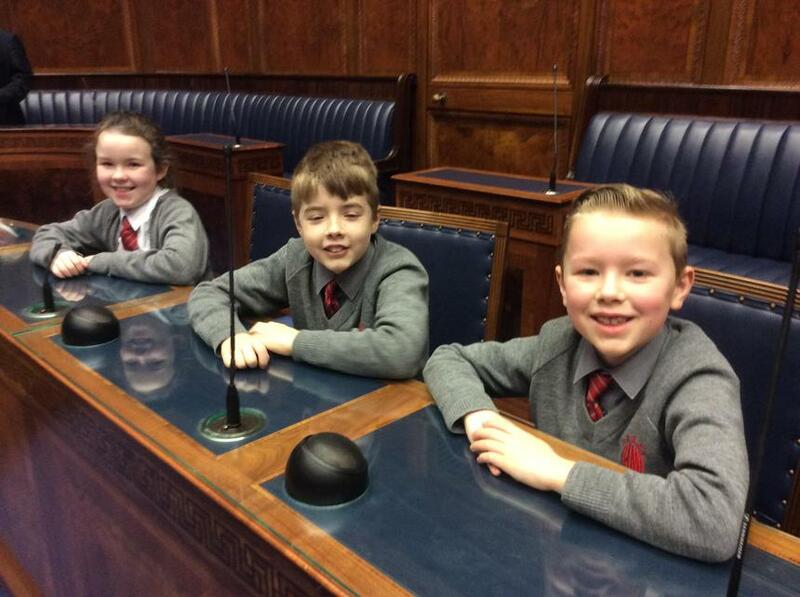 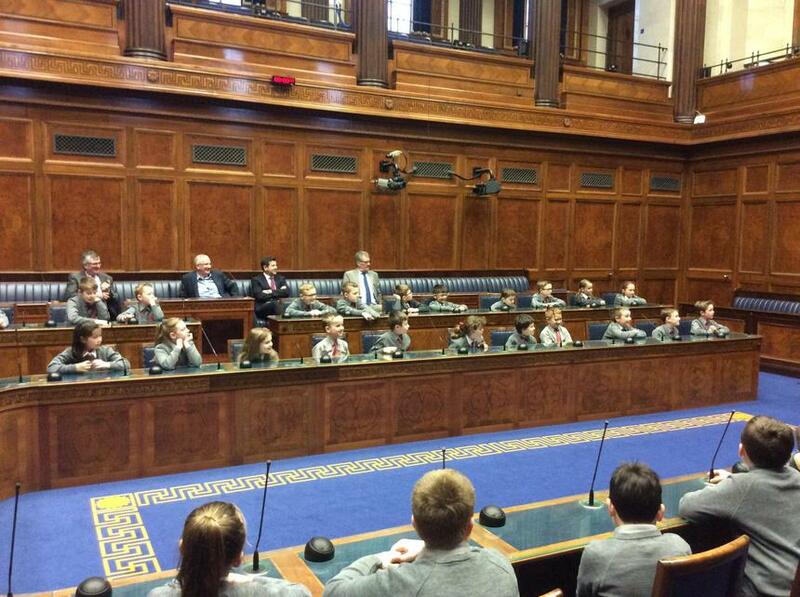 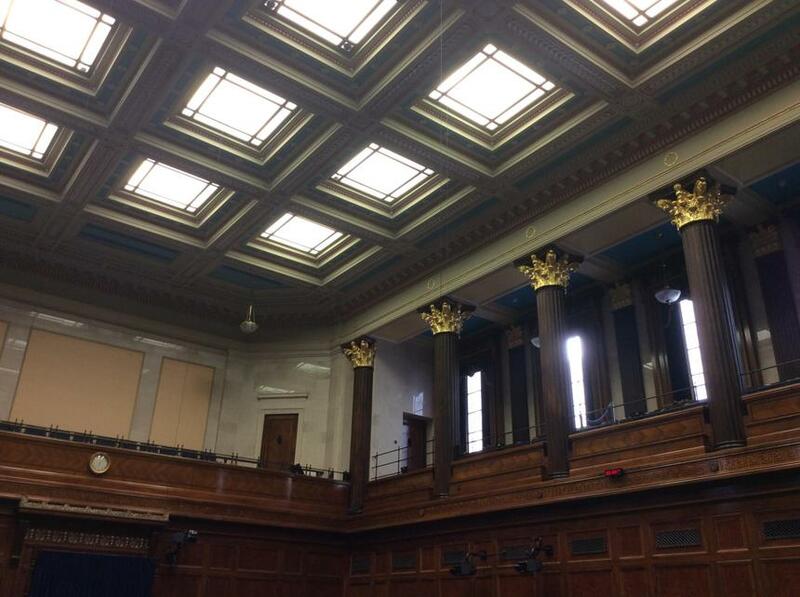 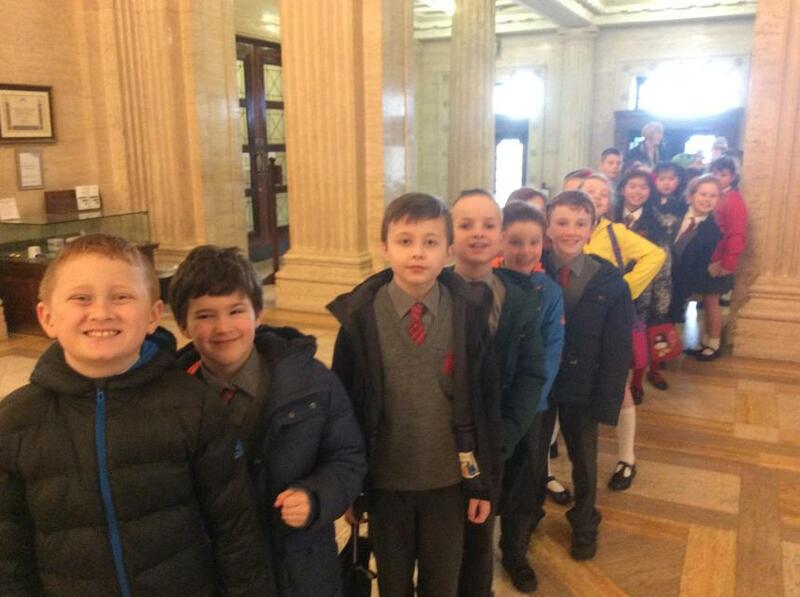 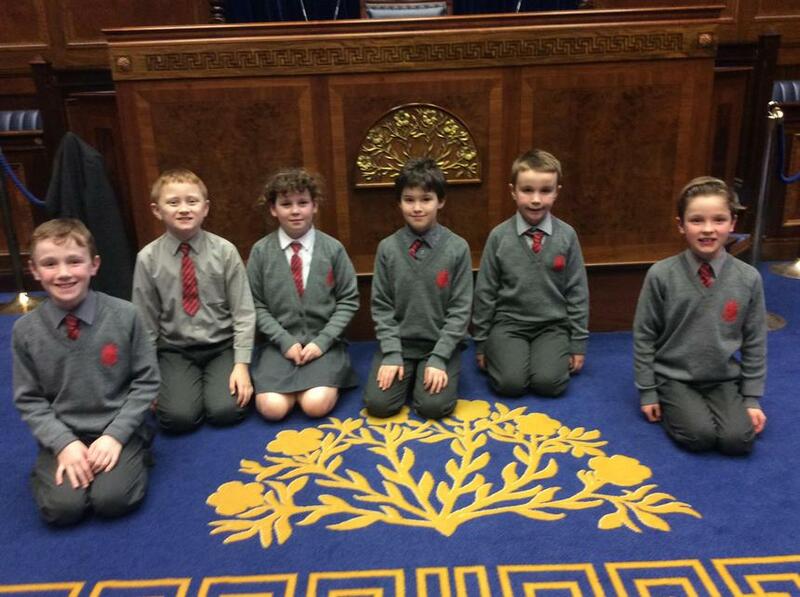 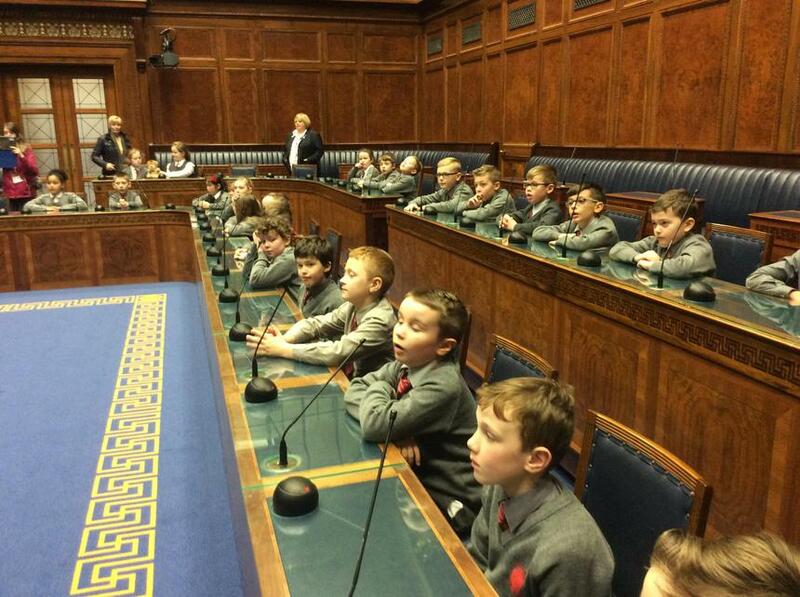 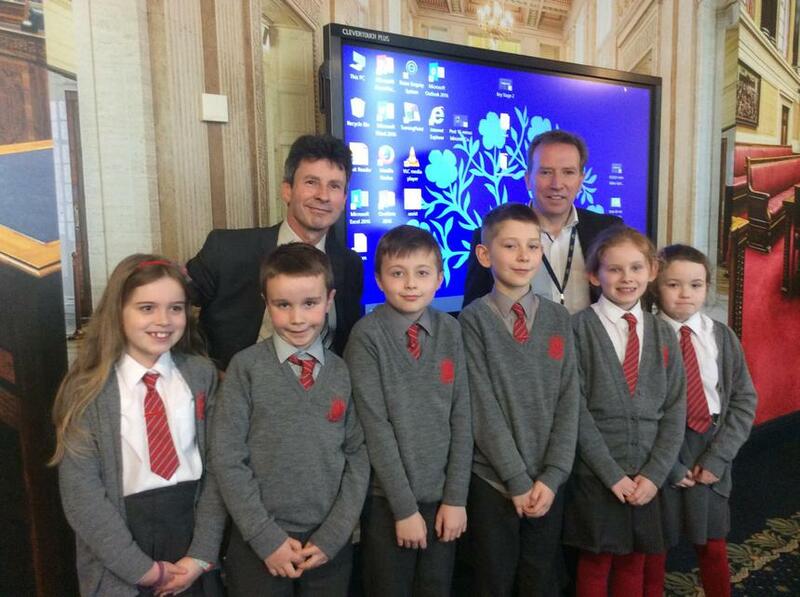 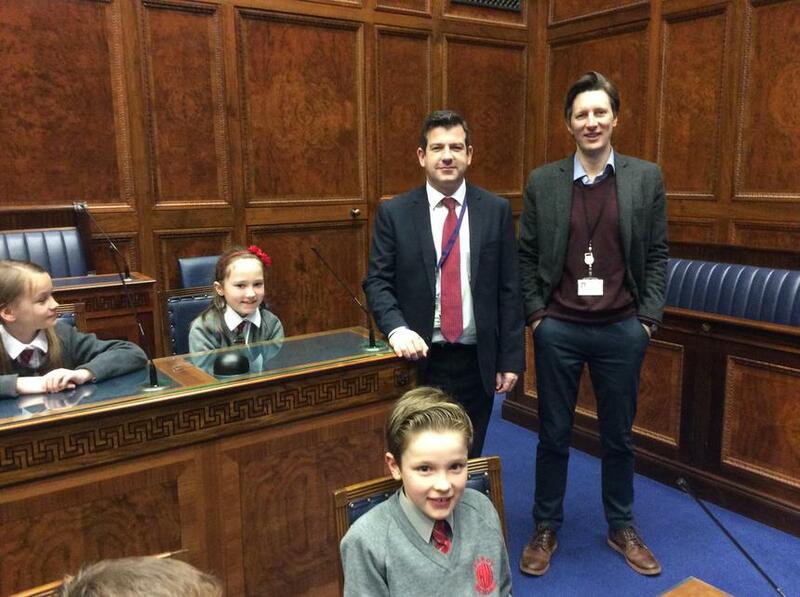 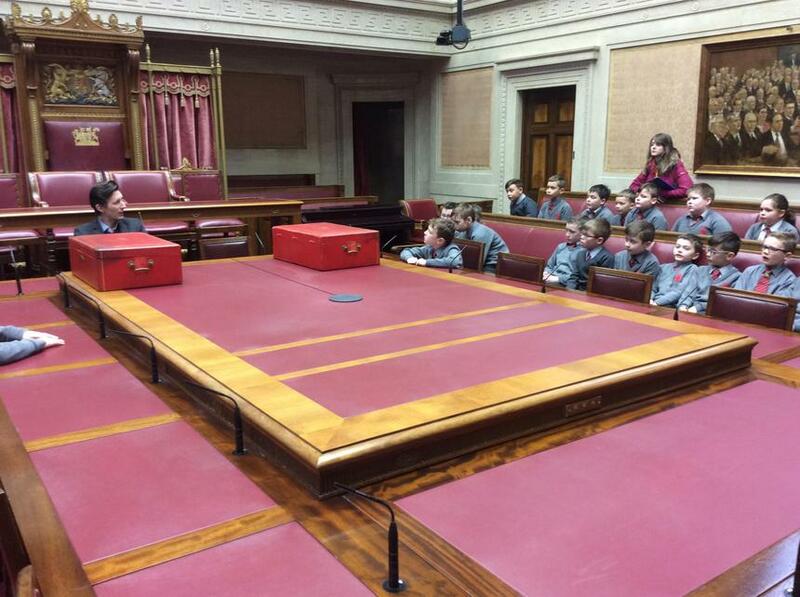 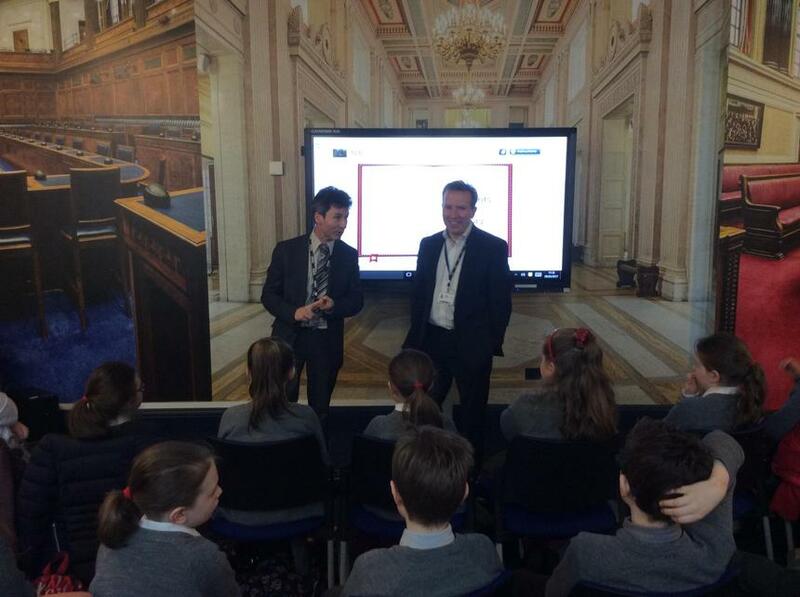 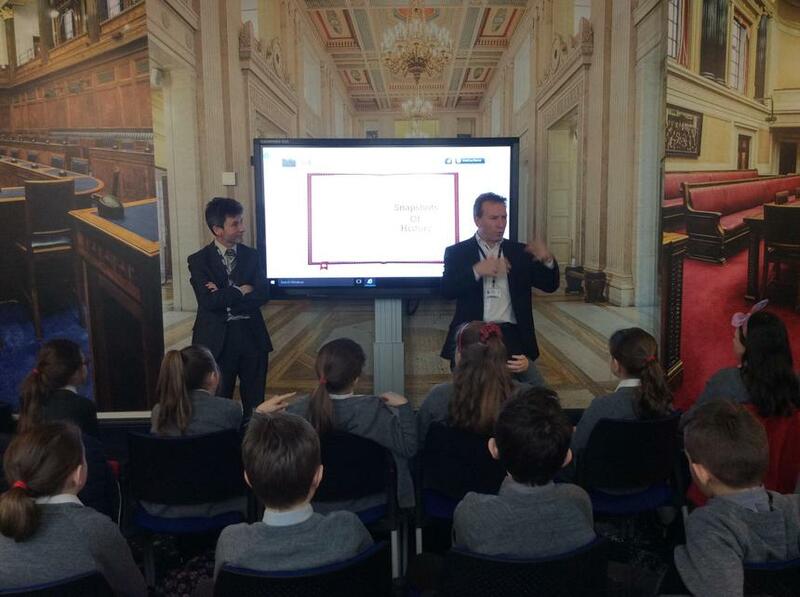 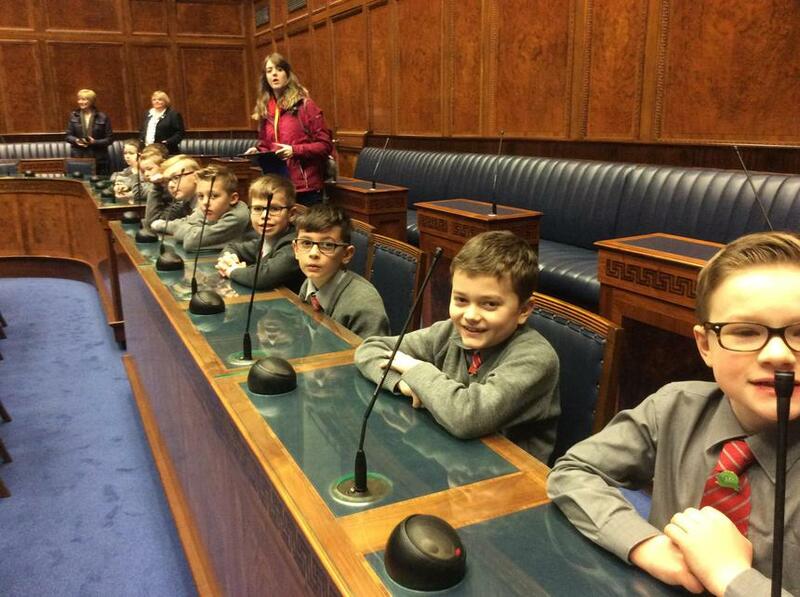 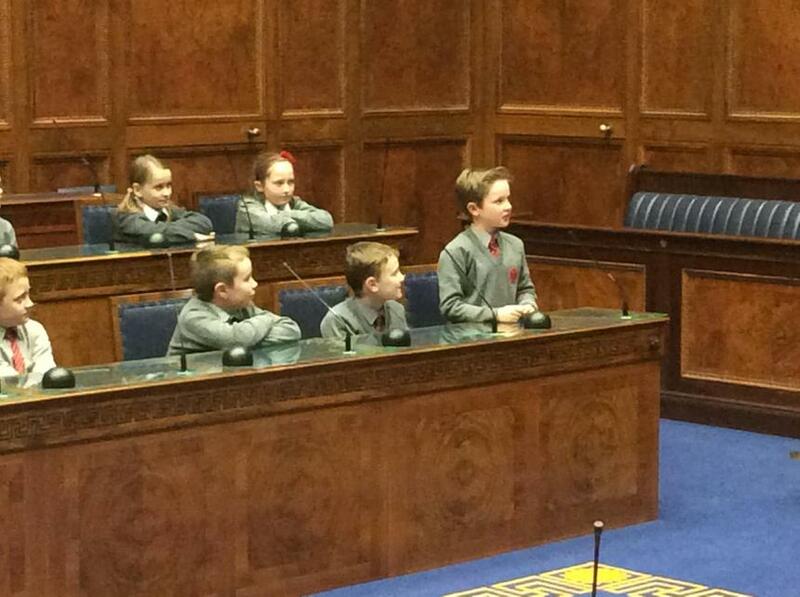 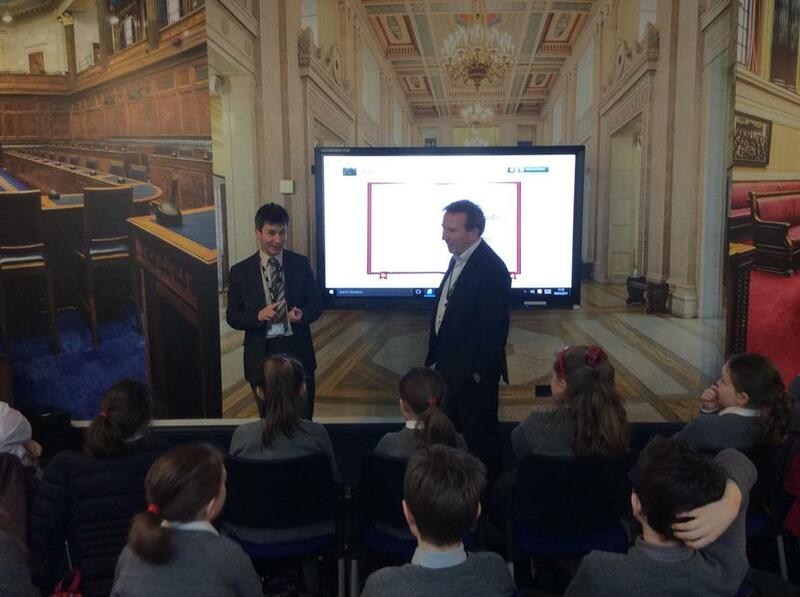 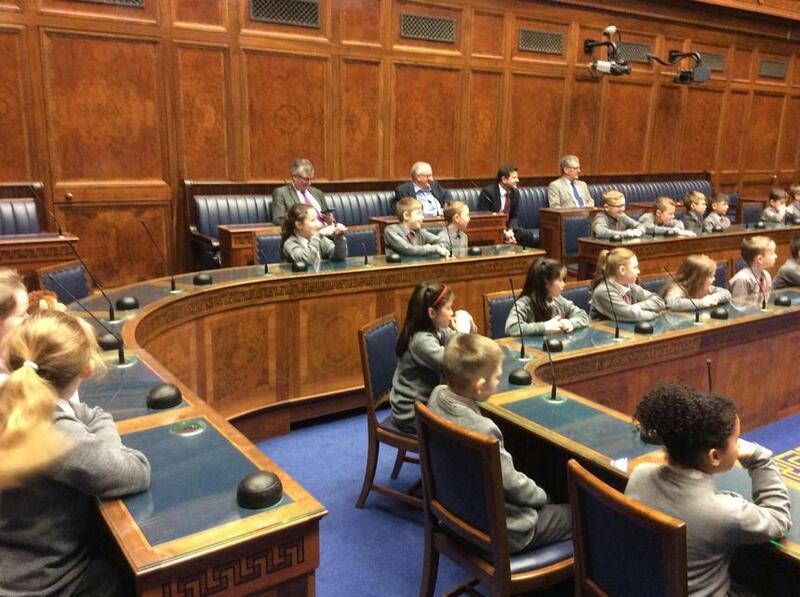 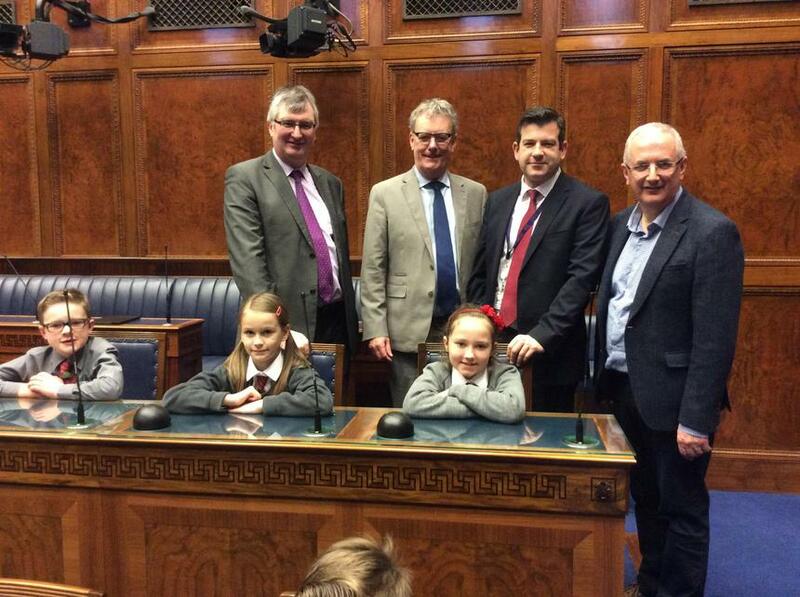 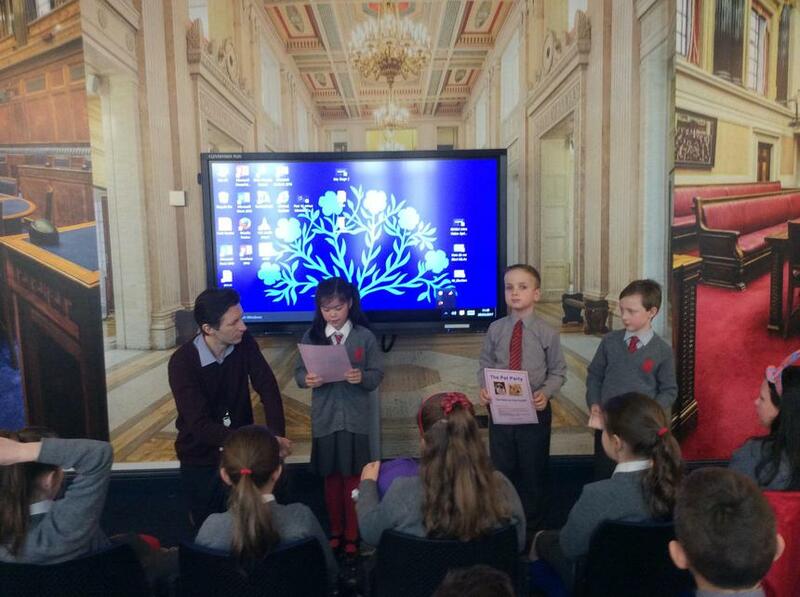 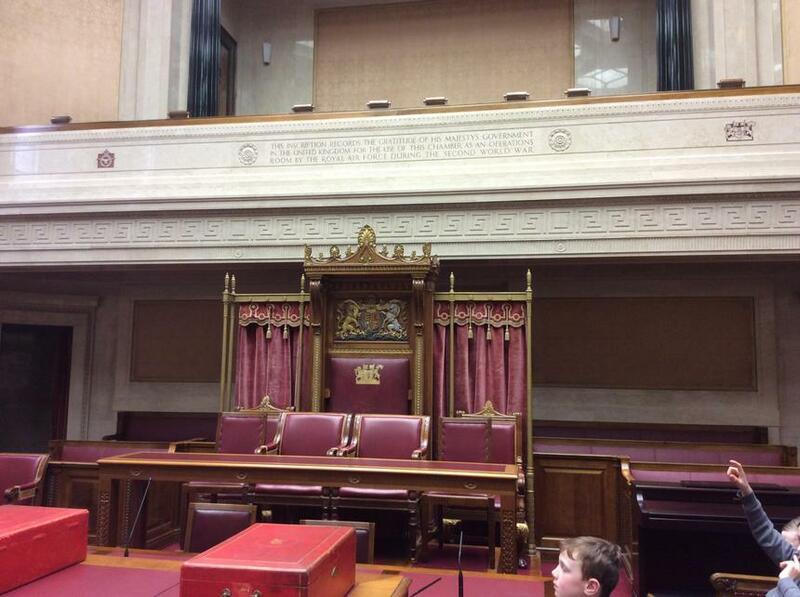 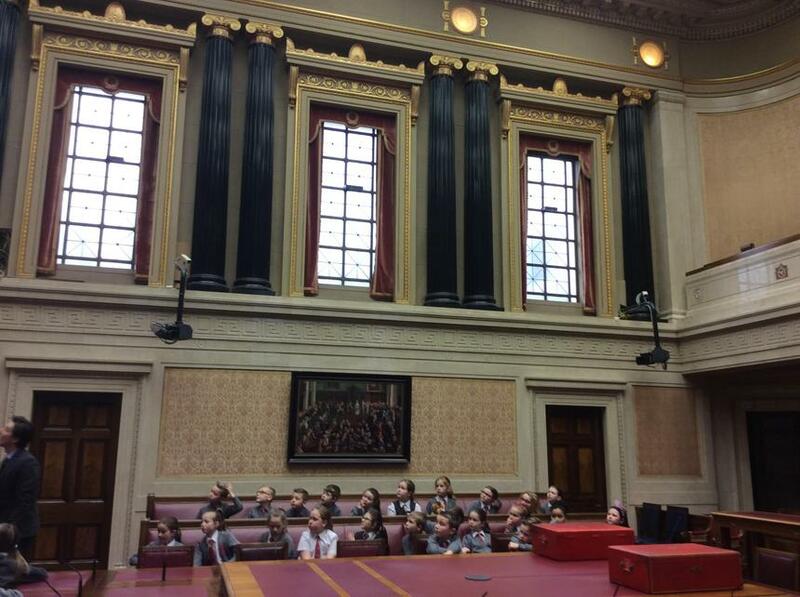 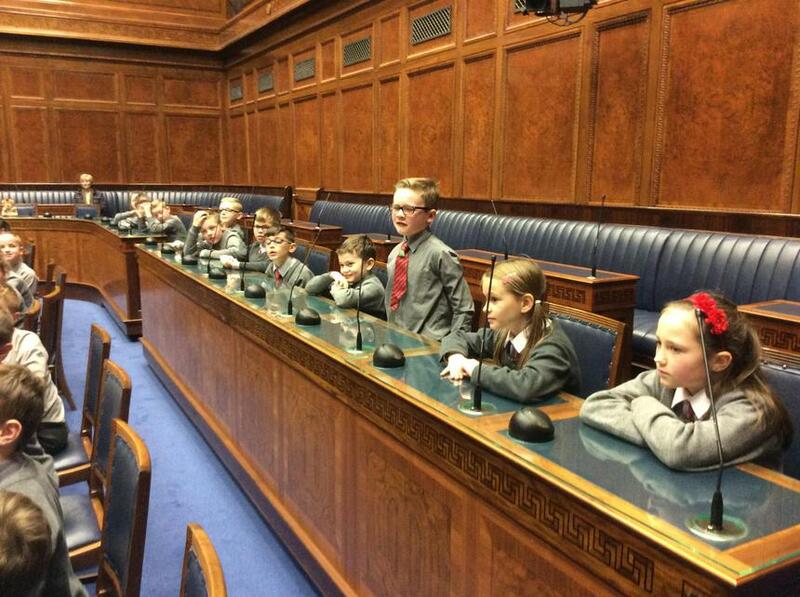 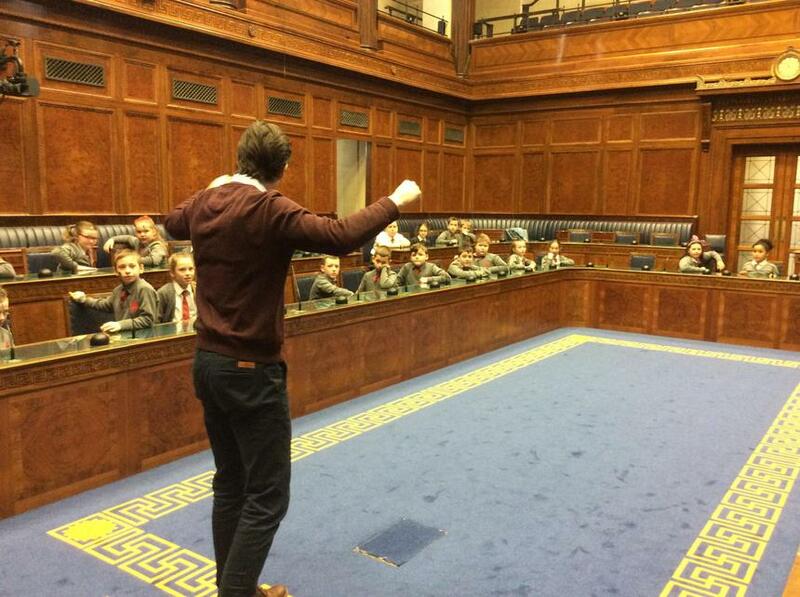 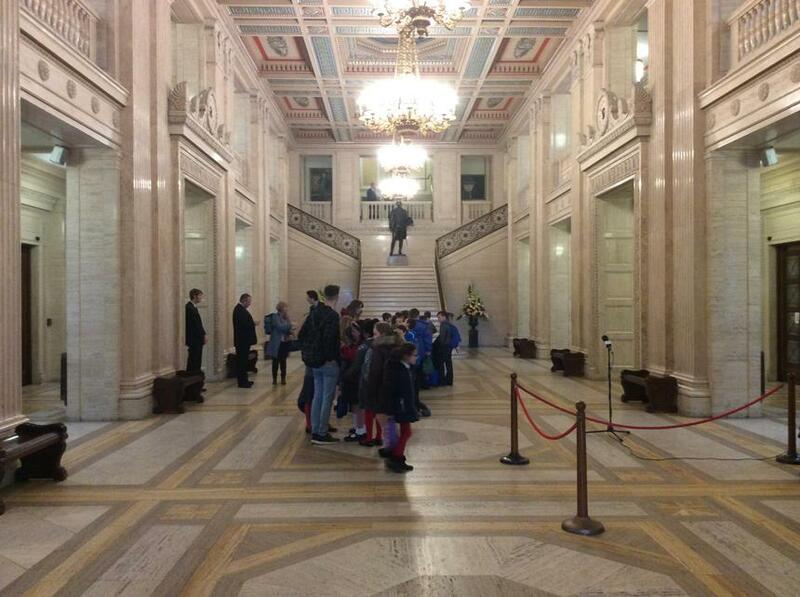 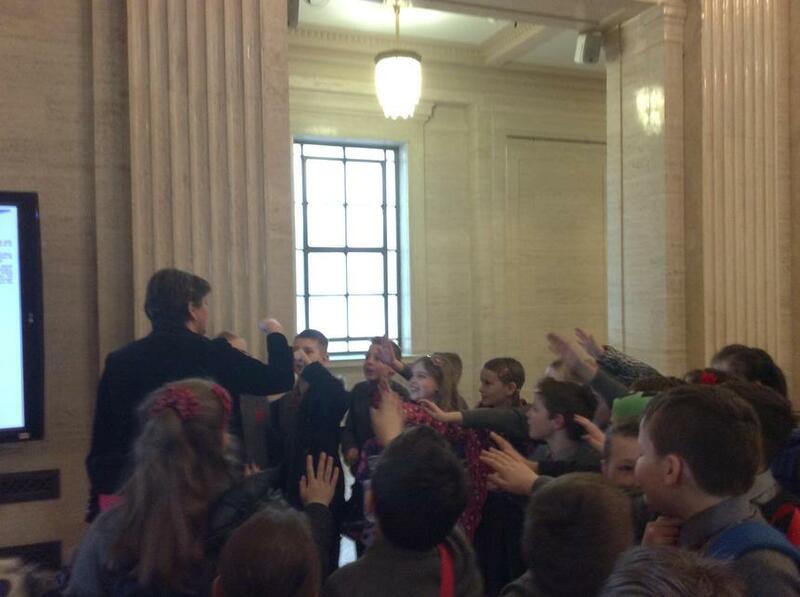 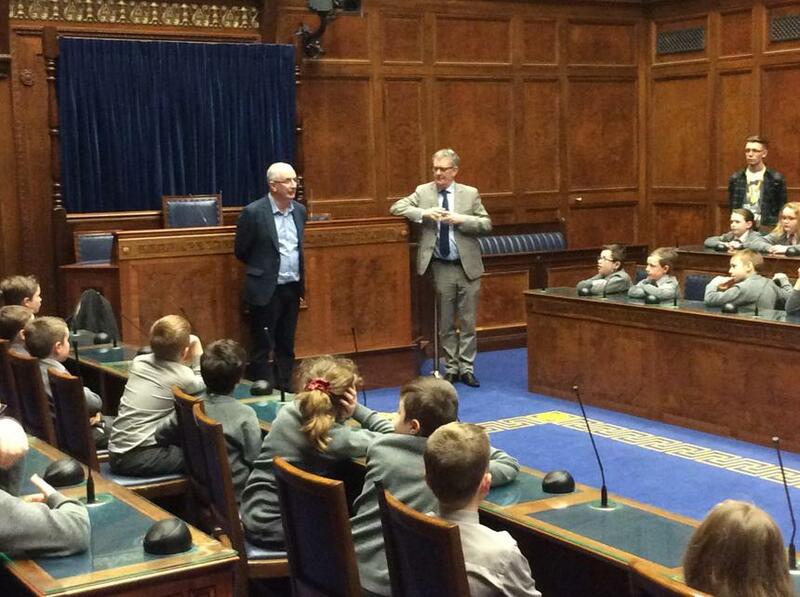 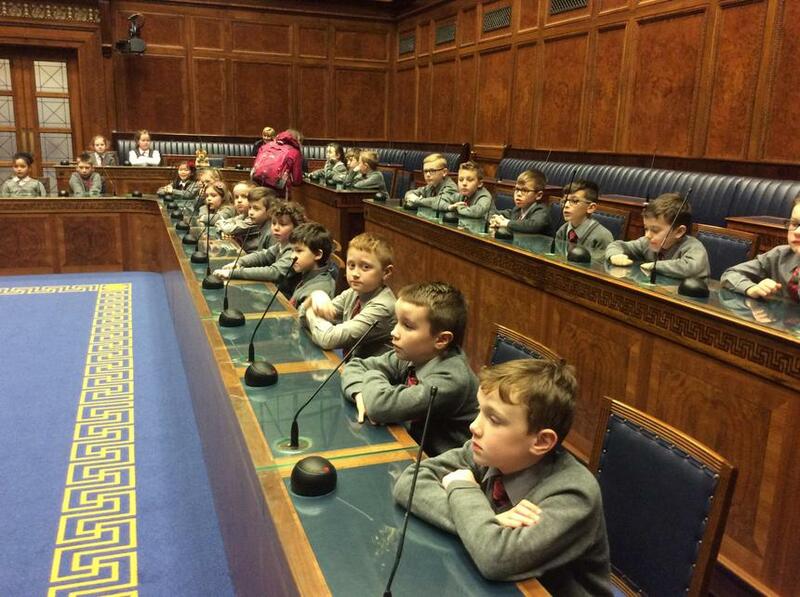 P5 Stormont Visit - On Thursday 9th March 2017, the pupils of P5G and P5A visited Parliament Buildings, Stormont. 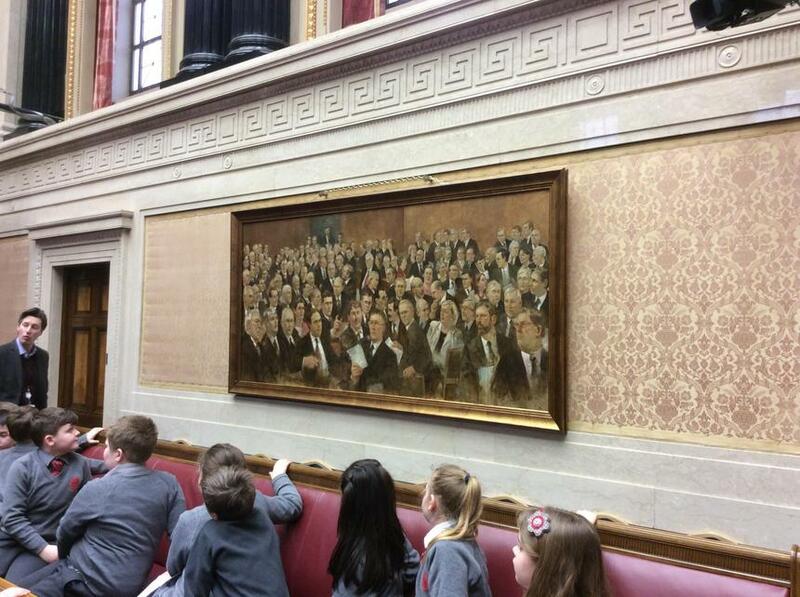 We saw and met some famous faces when we were there! 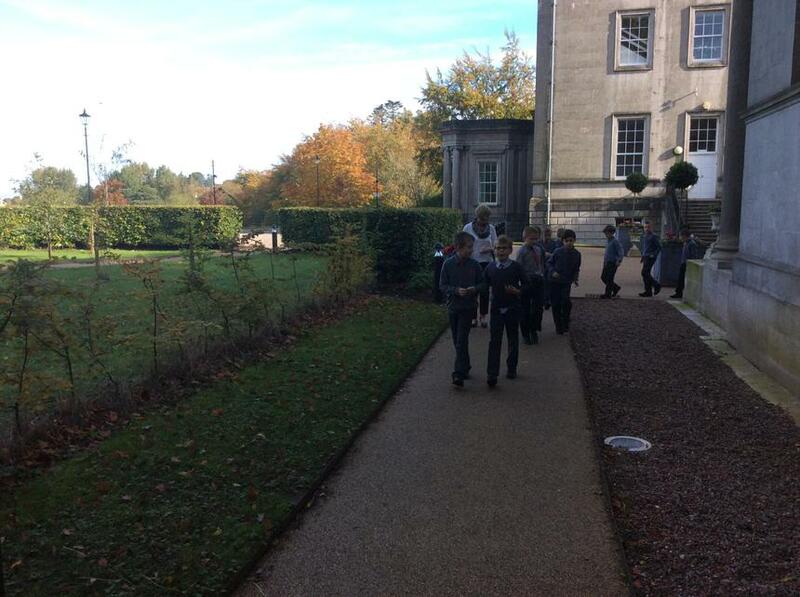 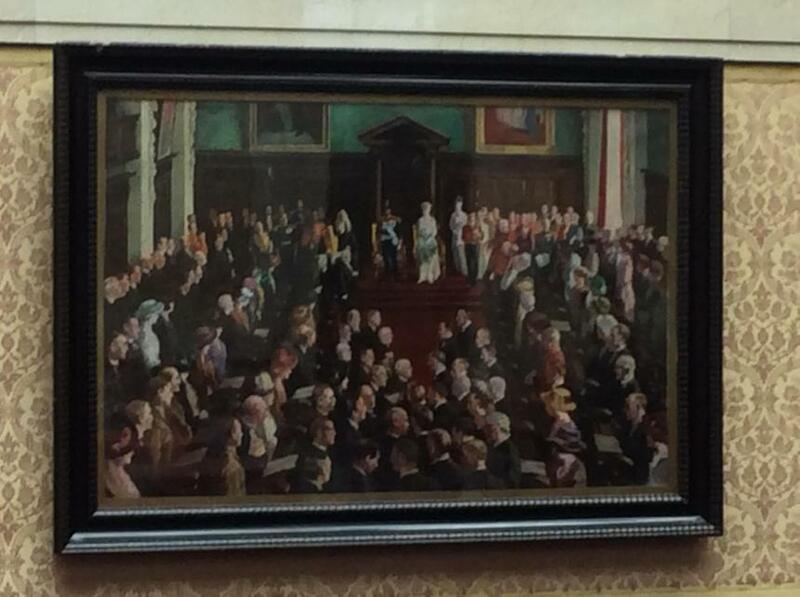 Have a look to see who we saw!